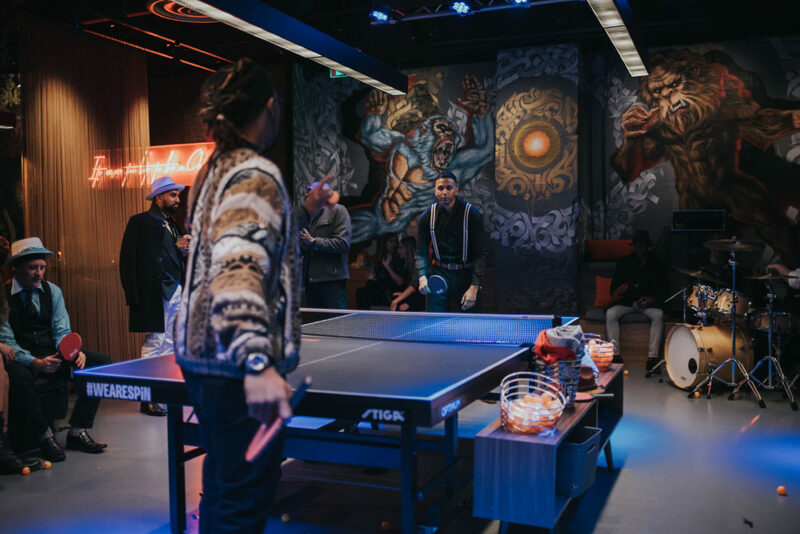 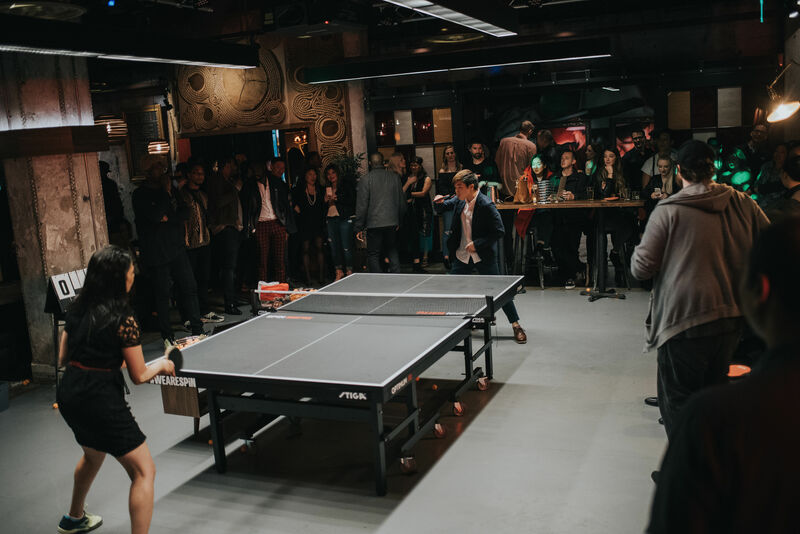 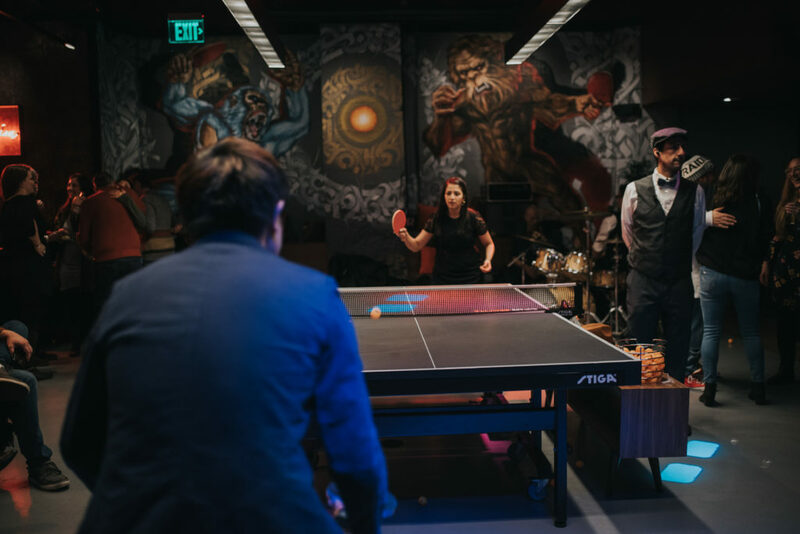 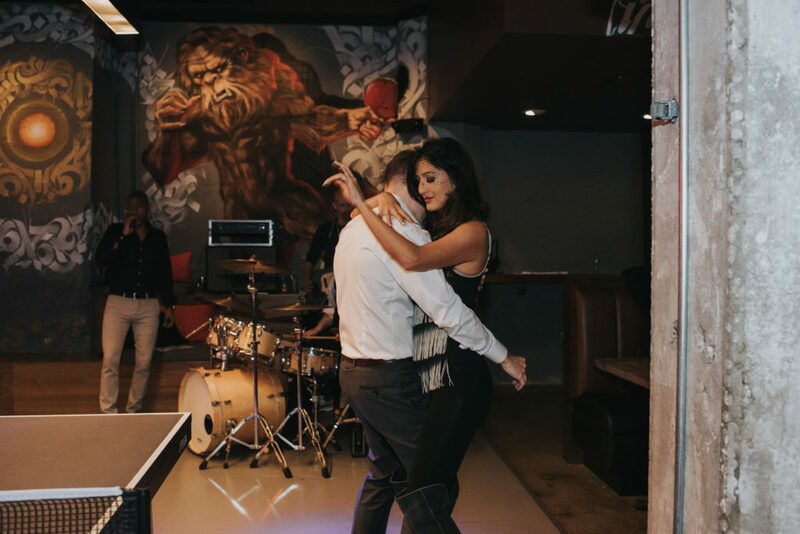 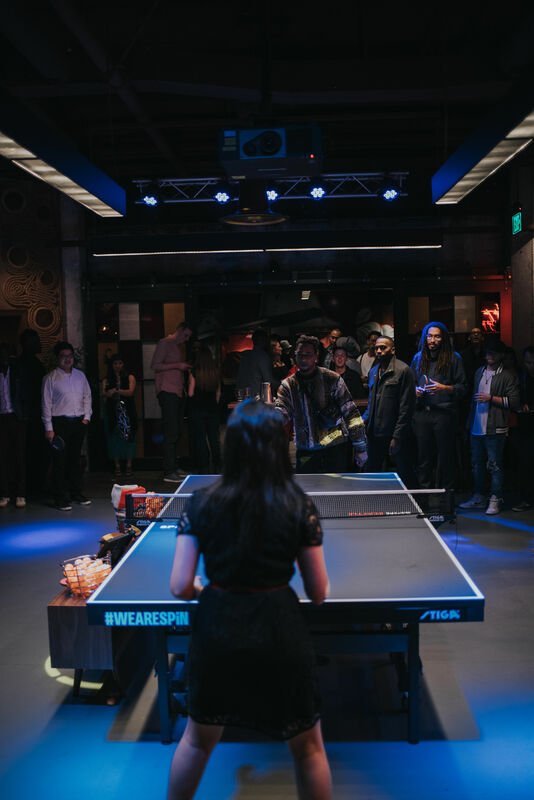 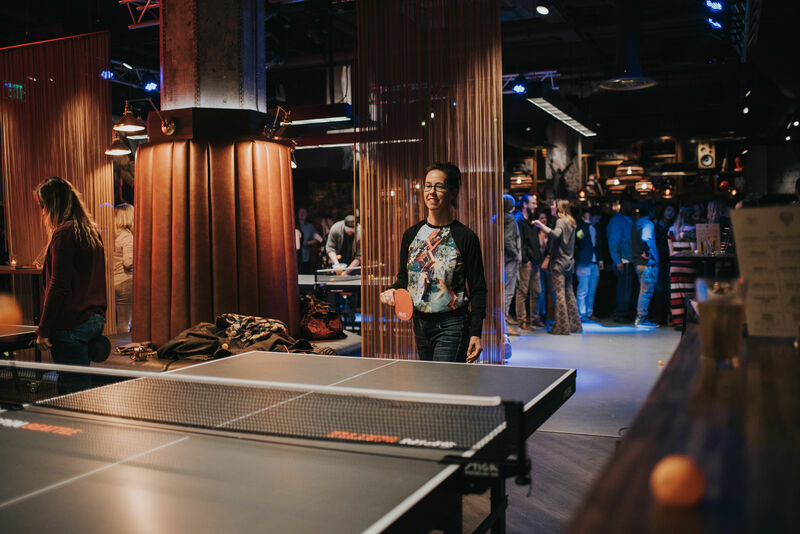 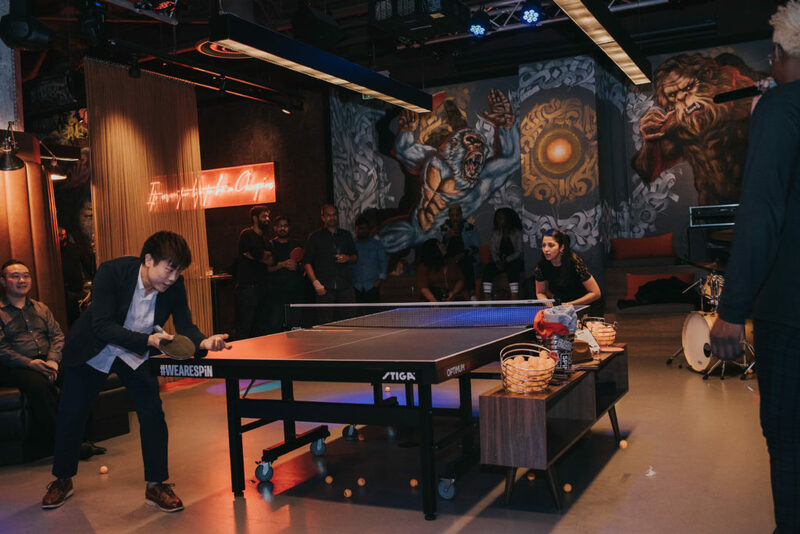 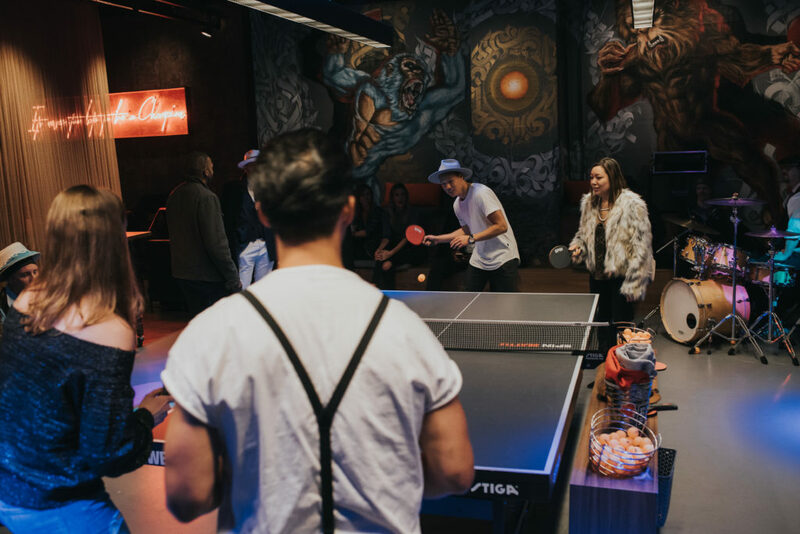 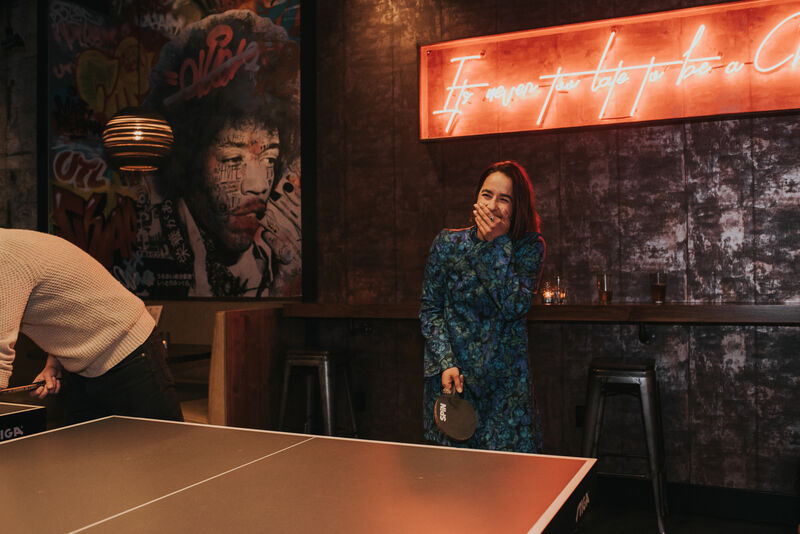 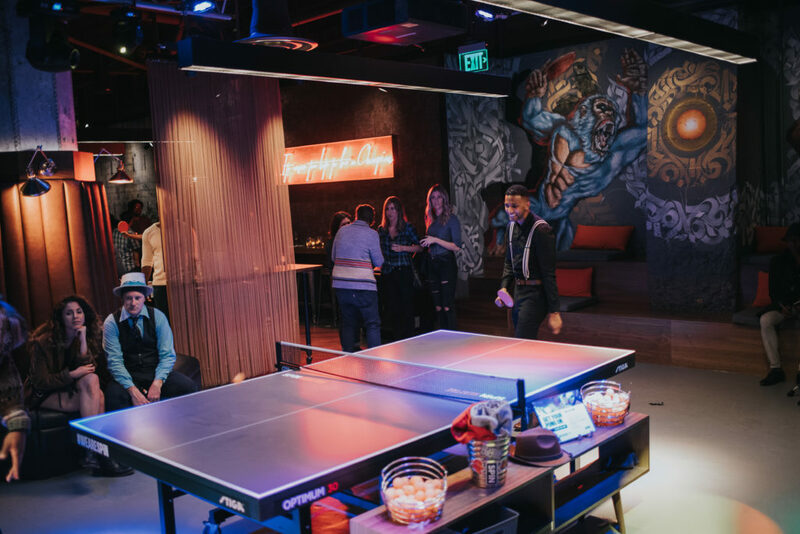 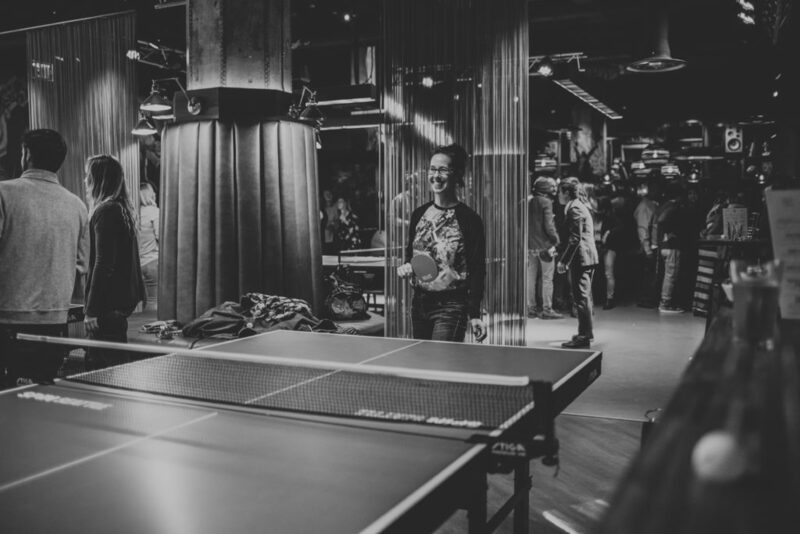 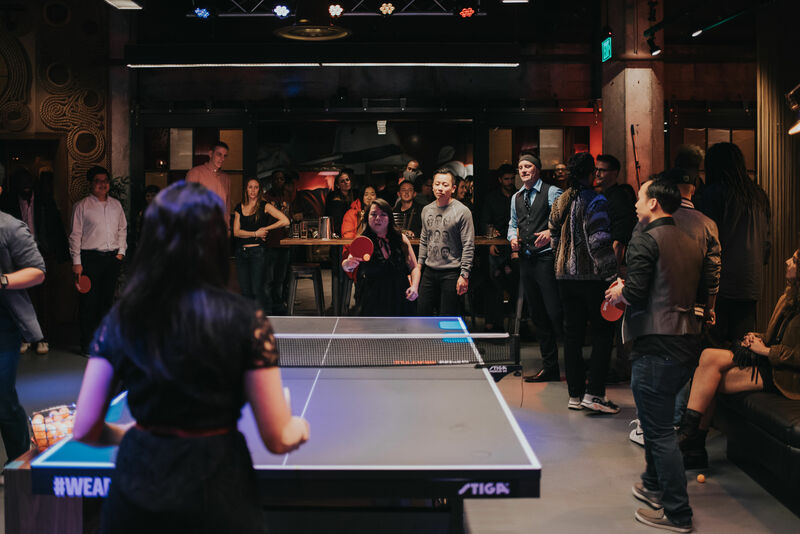 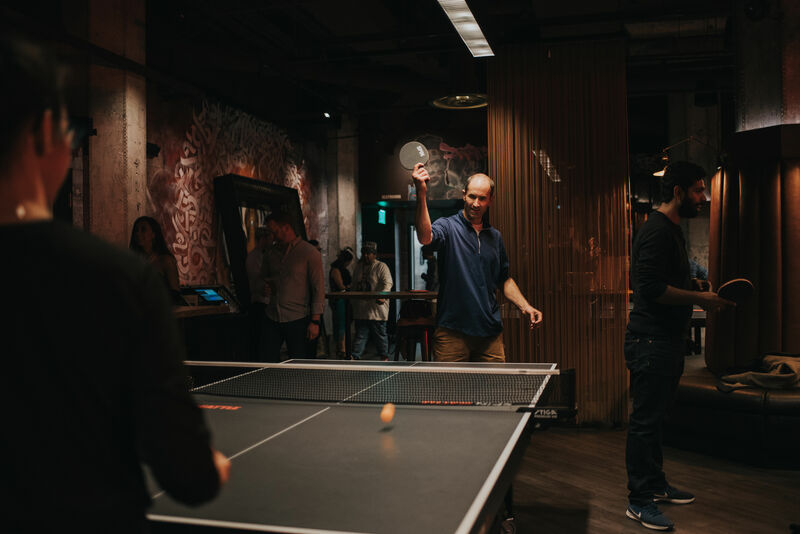 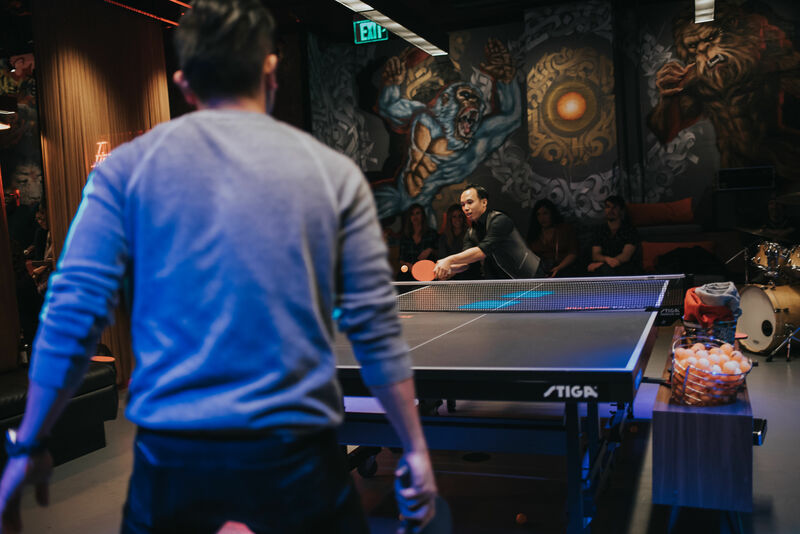 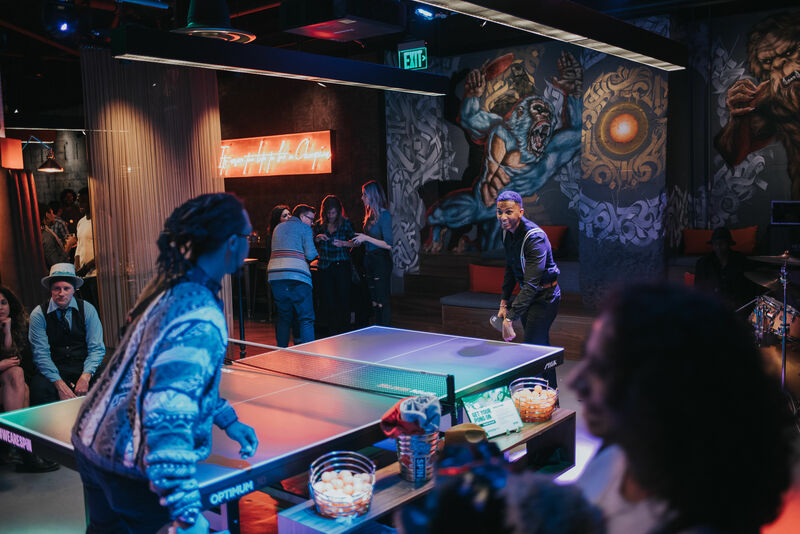 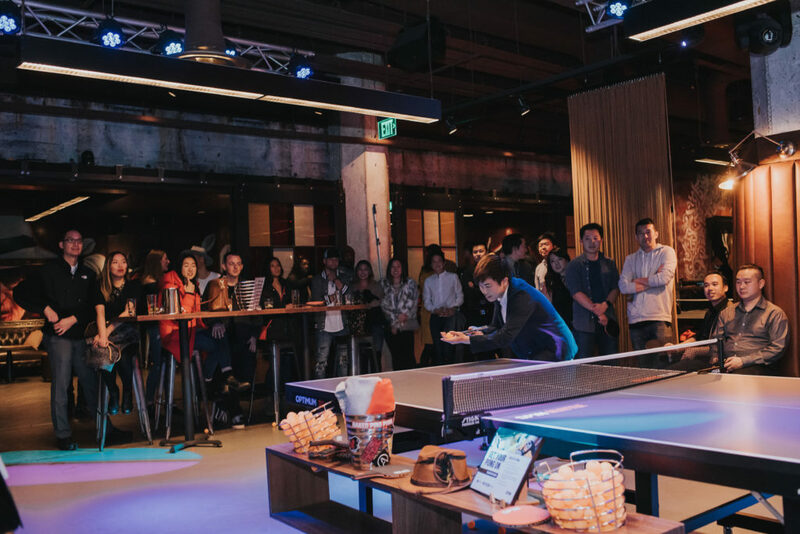 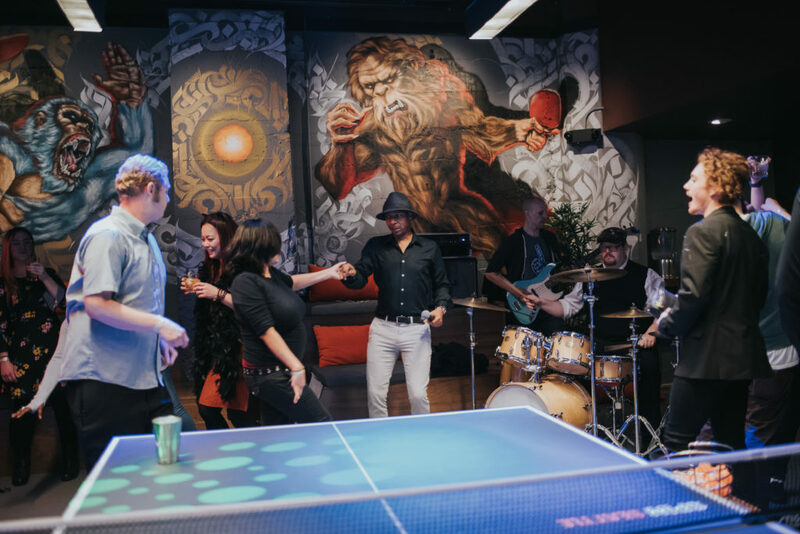 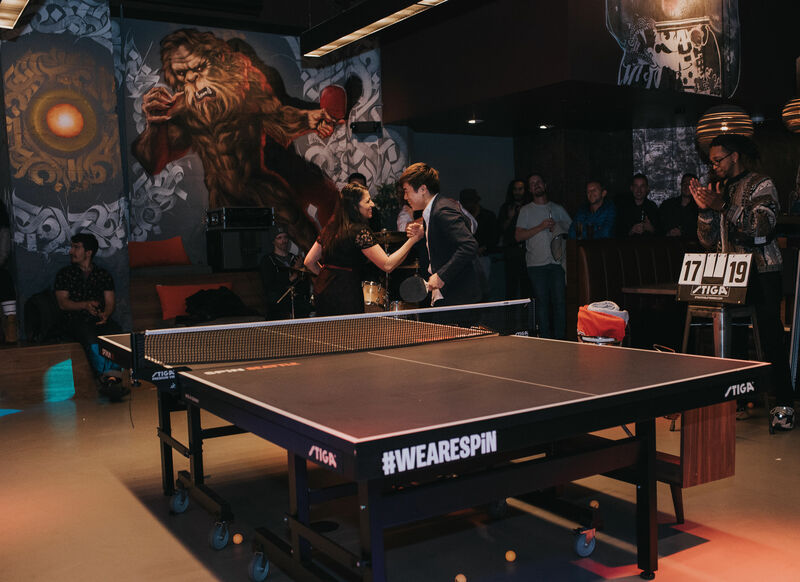 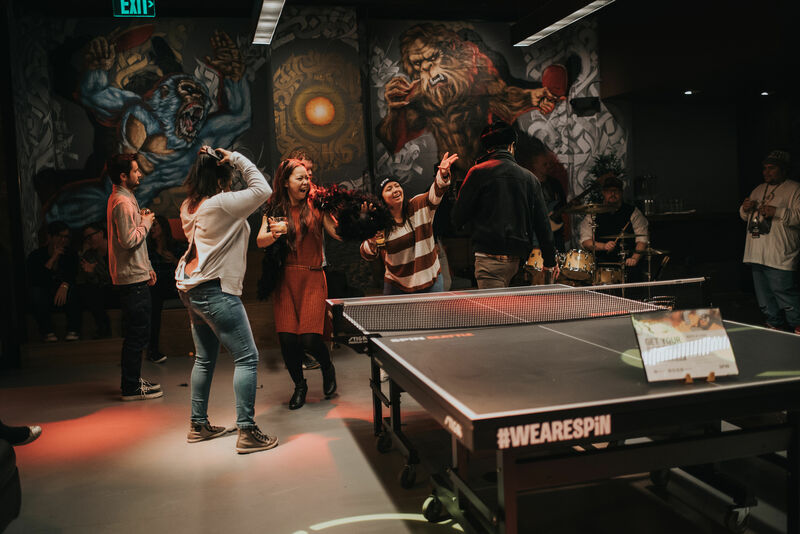 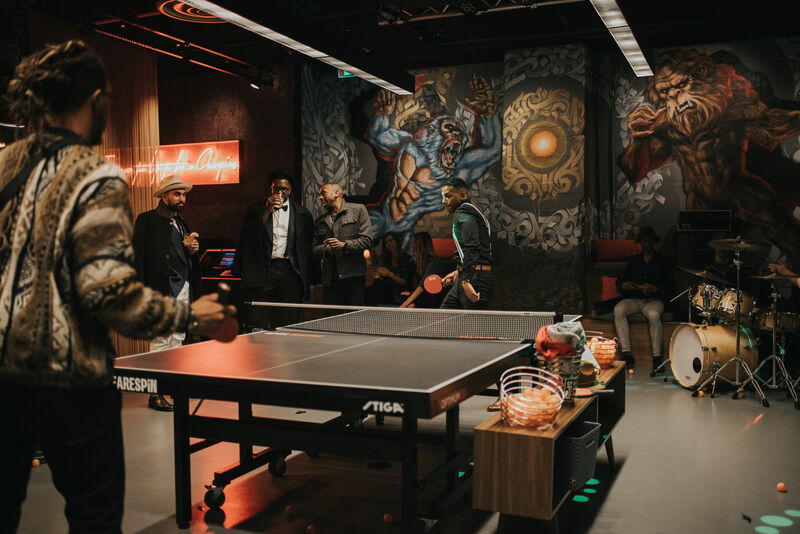 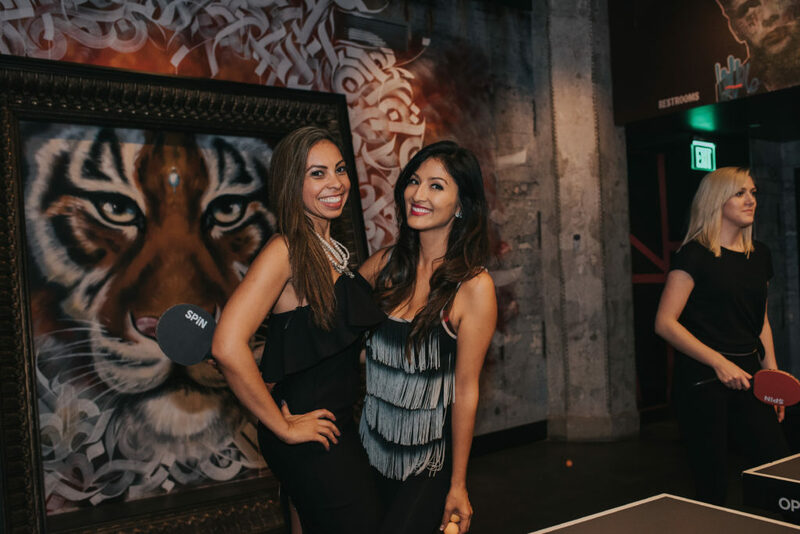 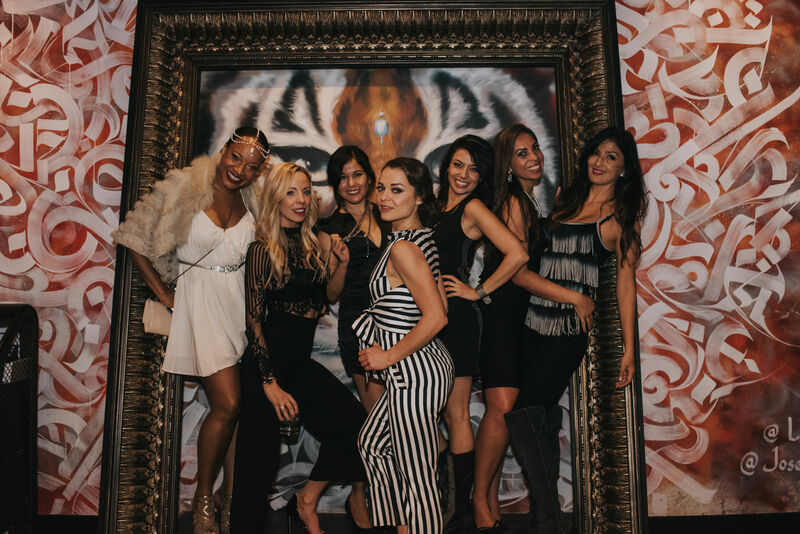 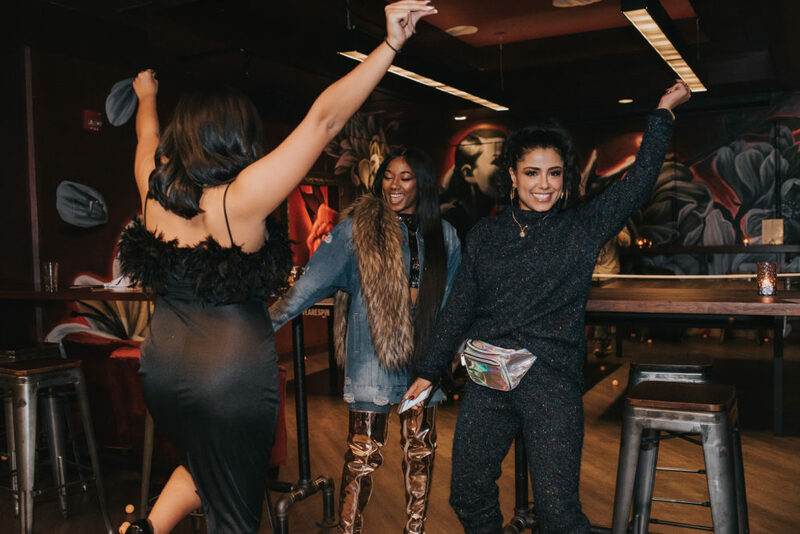 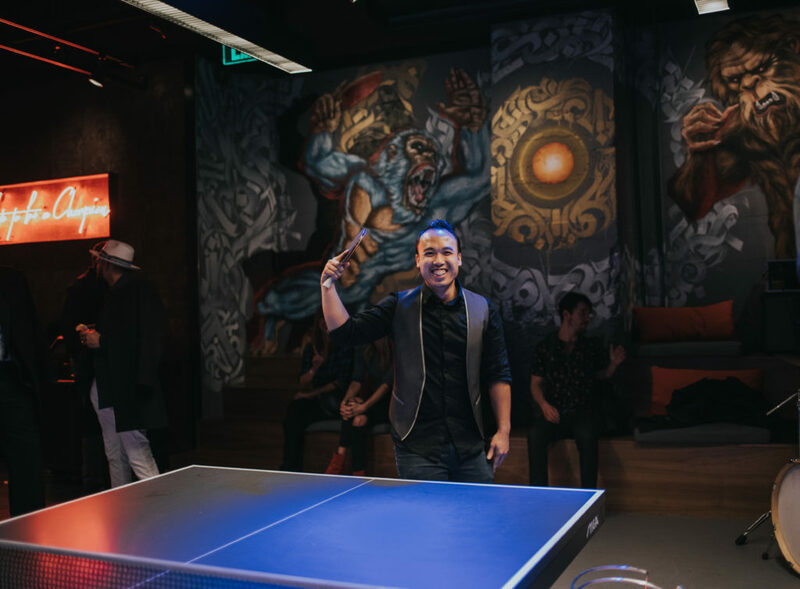 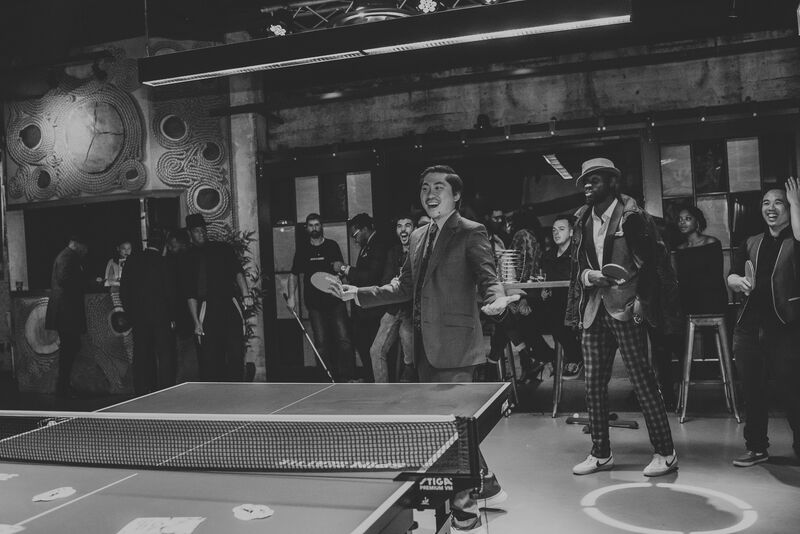 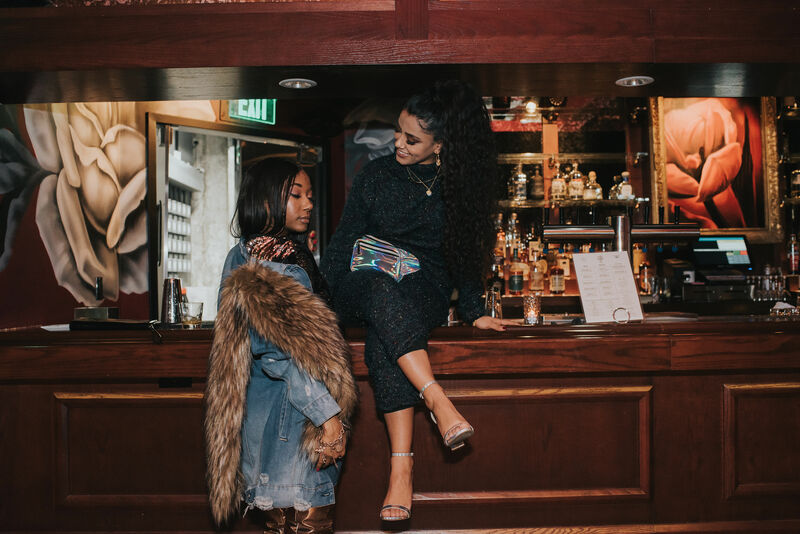 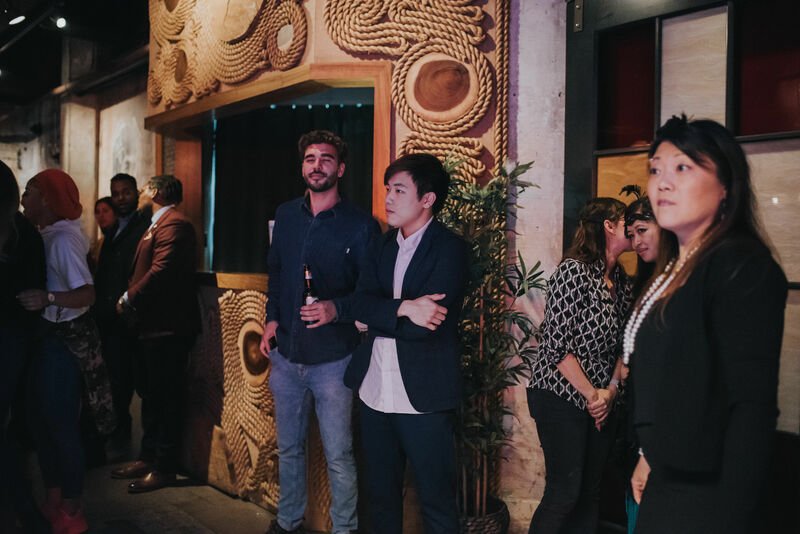 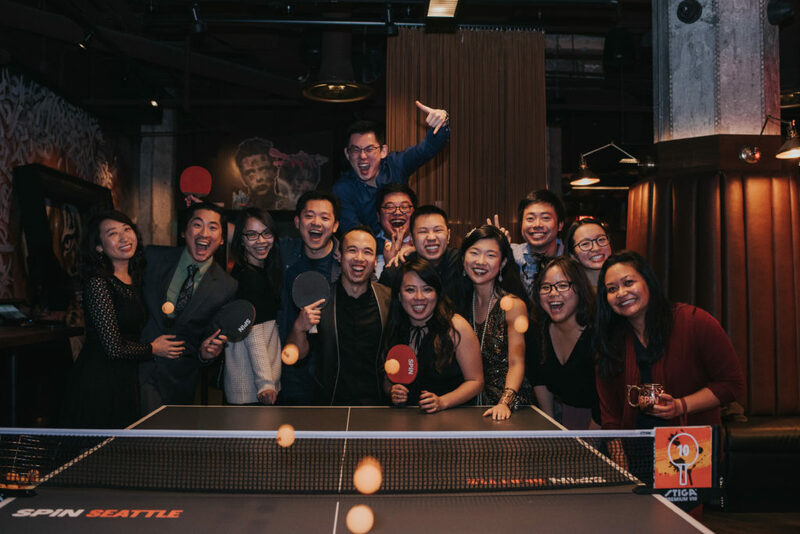 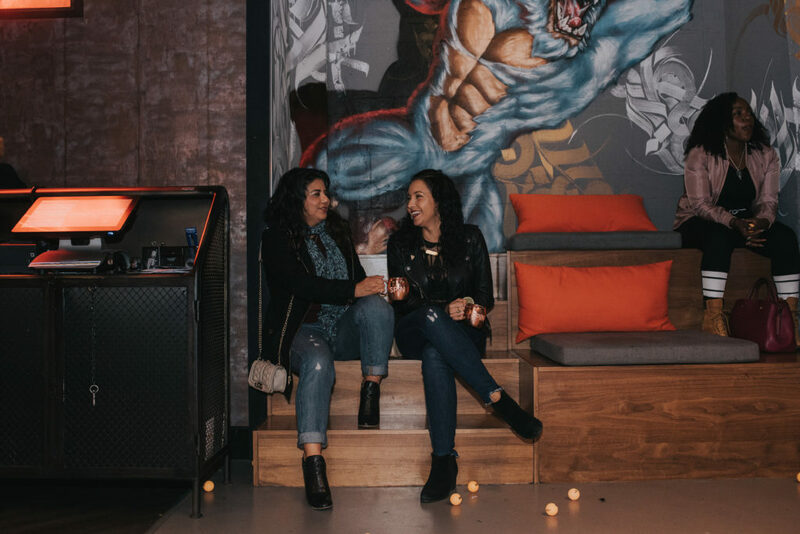 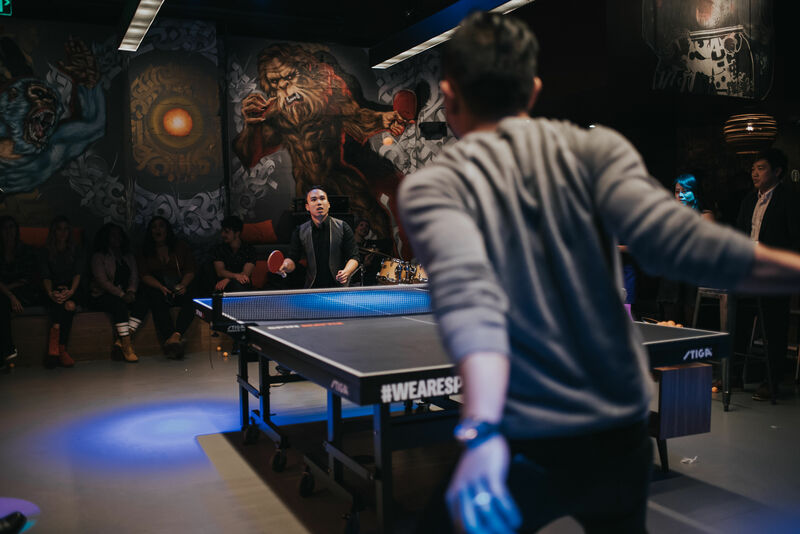 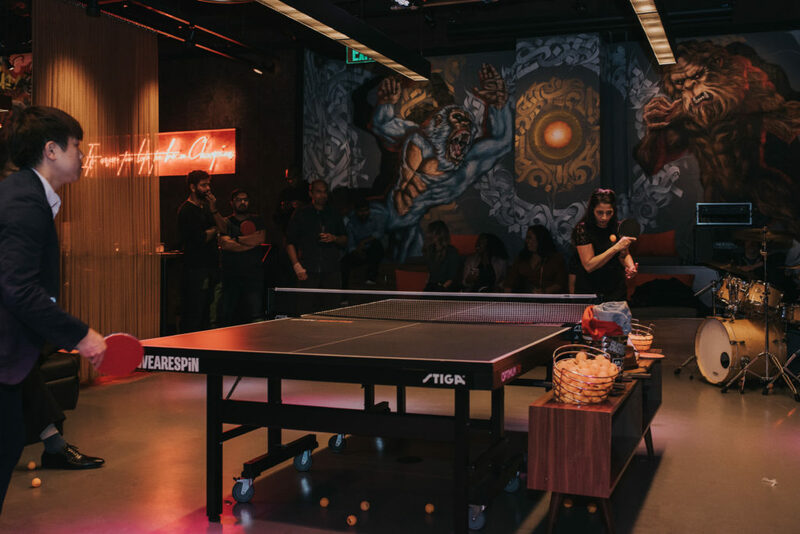 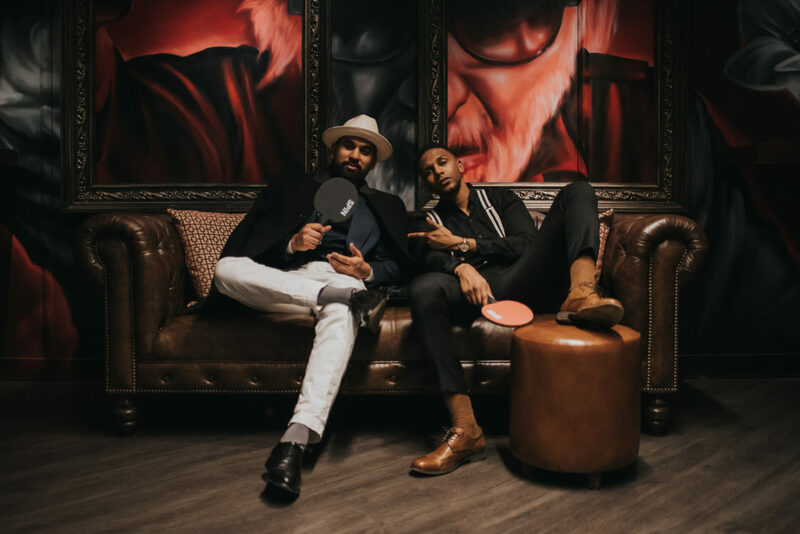 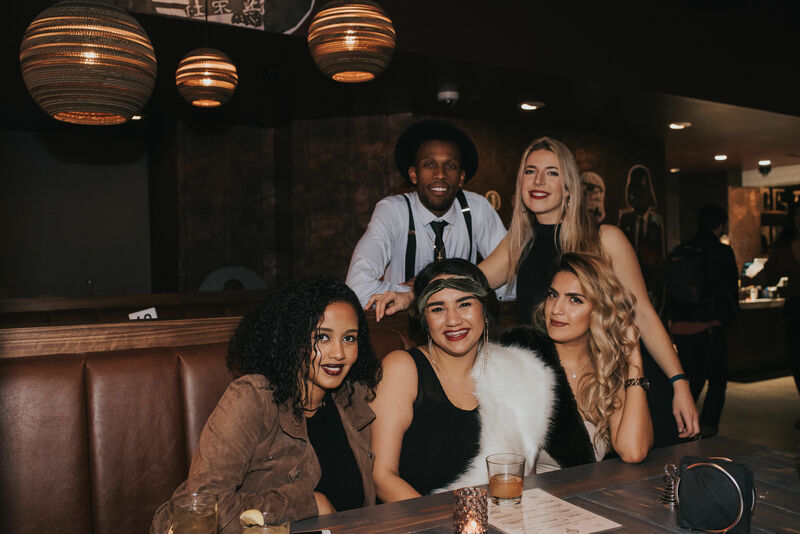 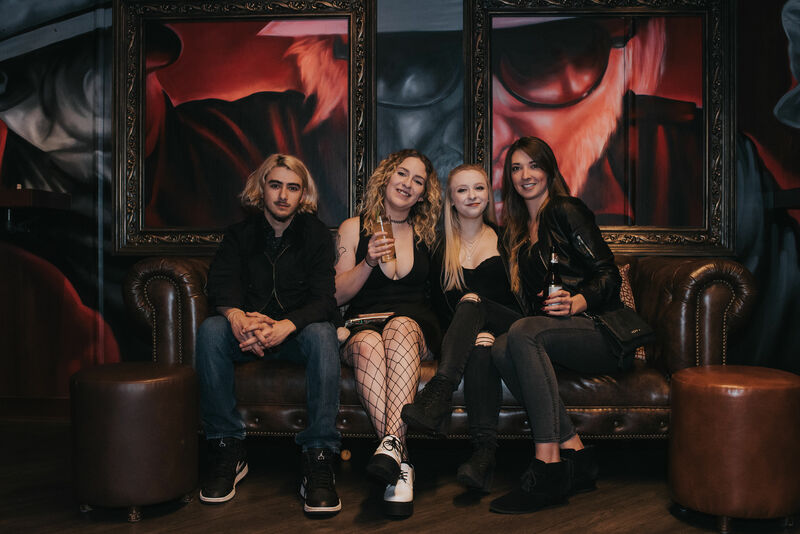 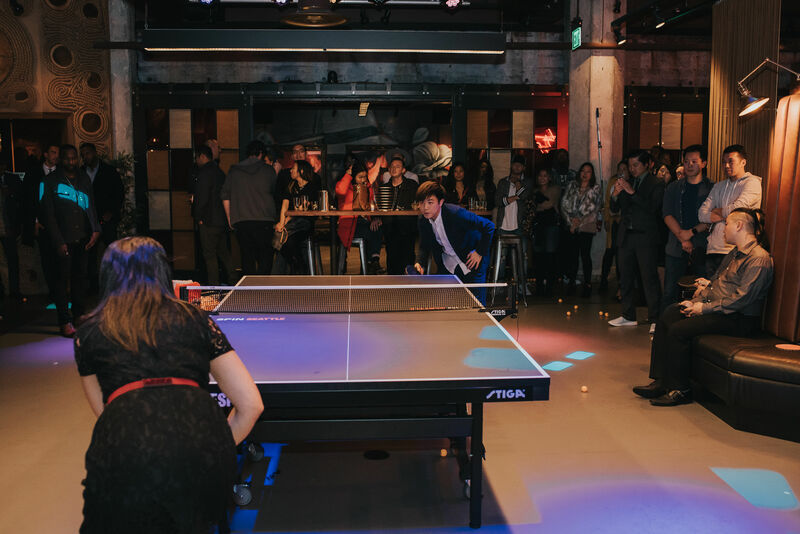 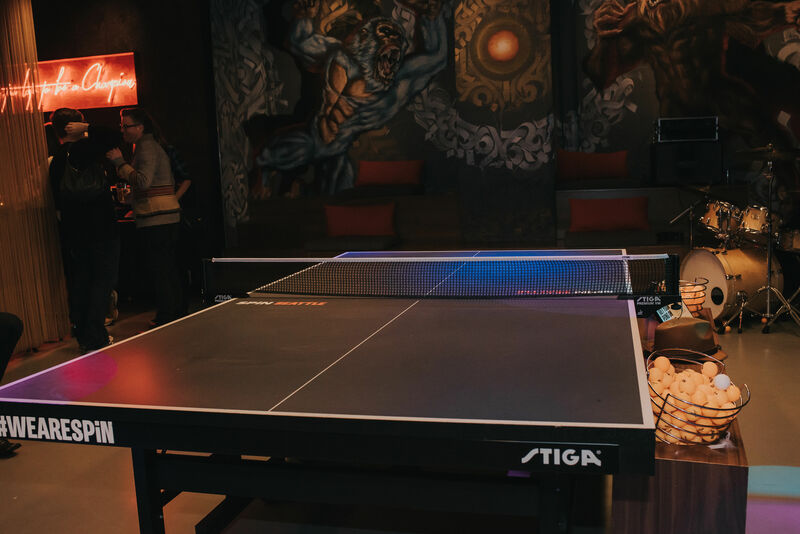 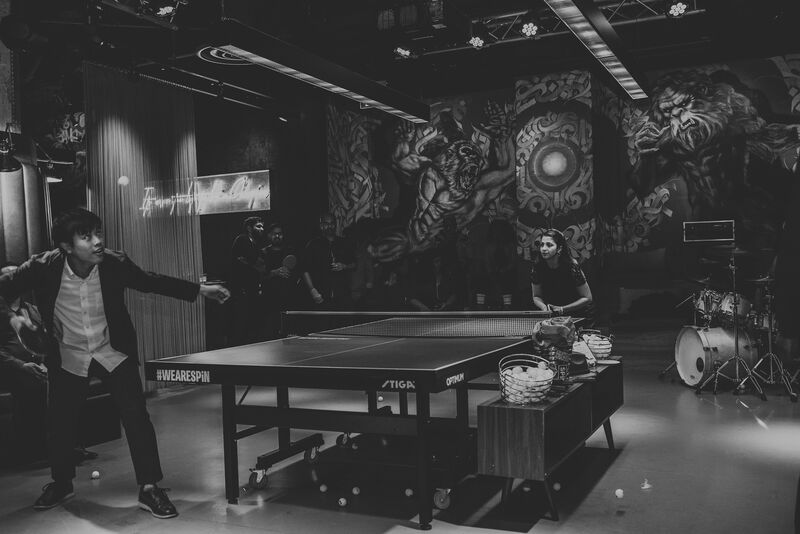 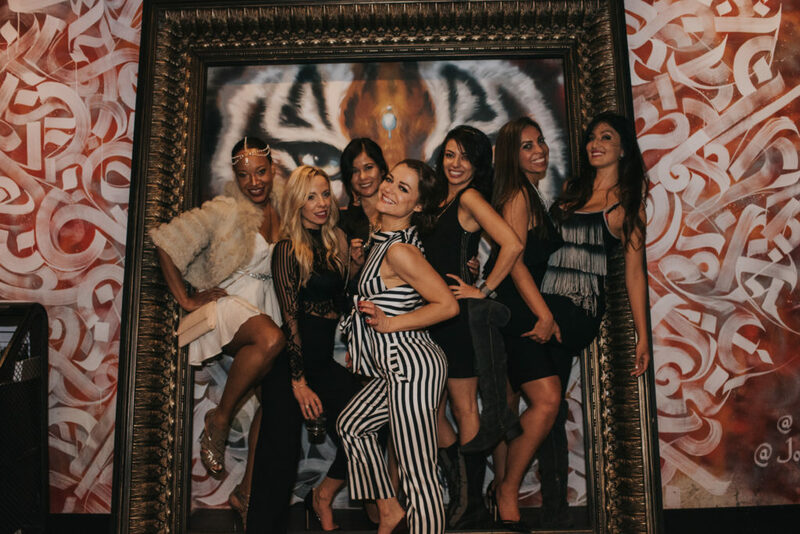 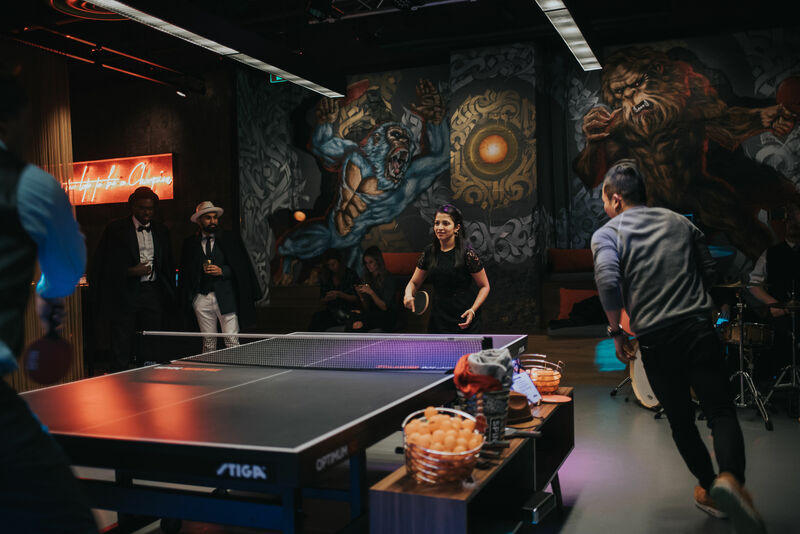 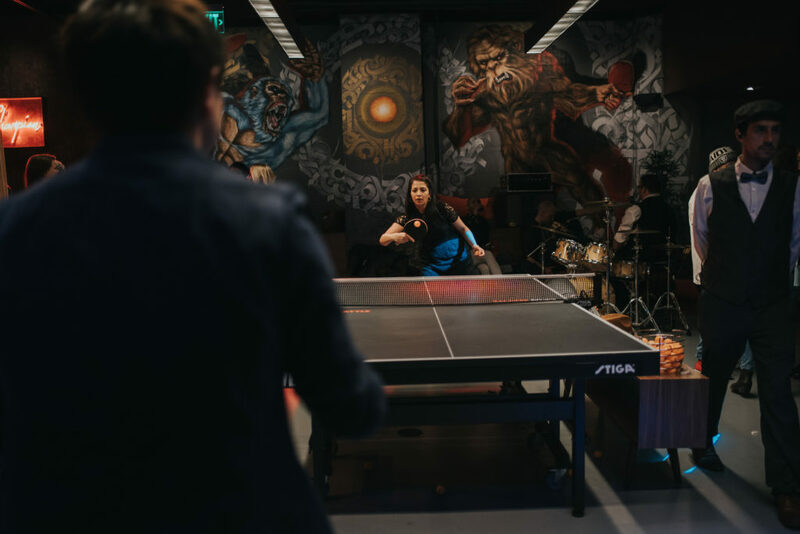 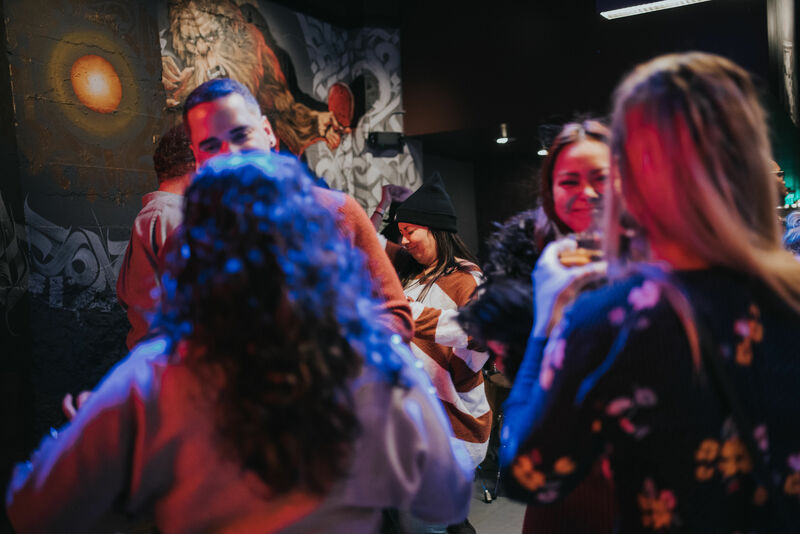 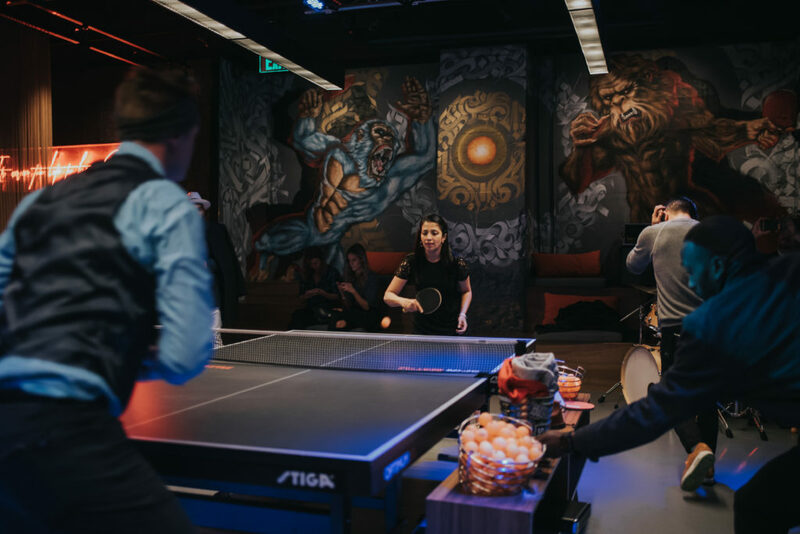 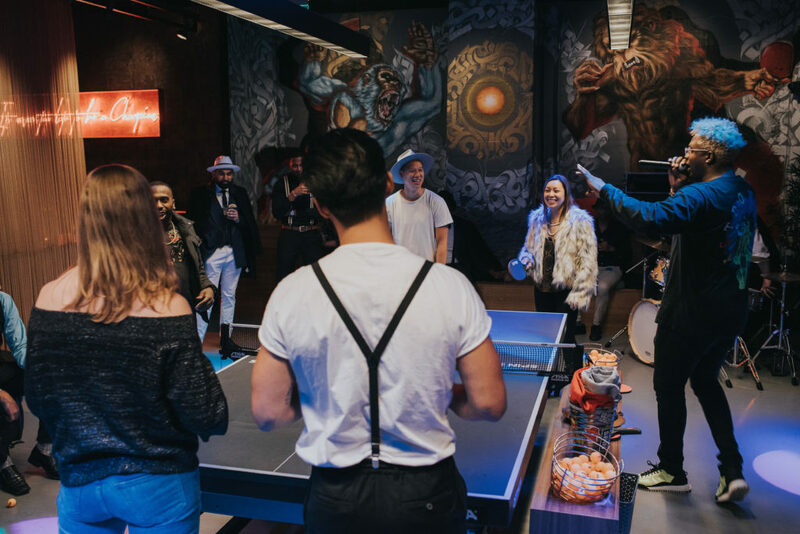 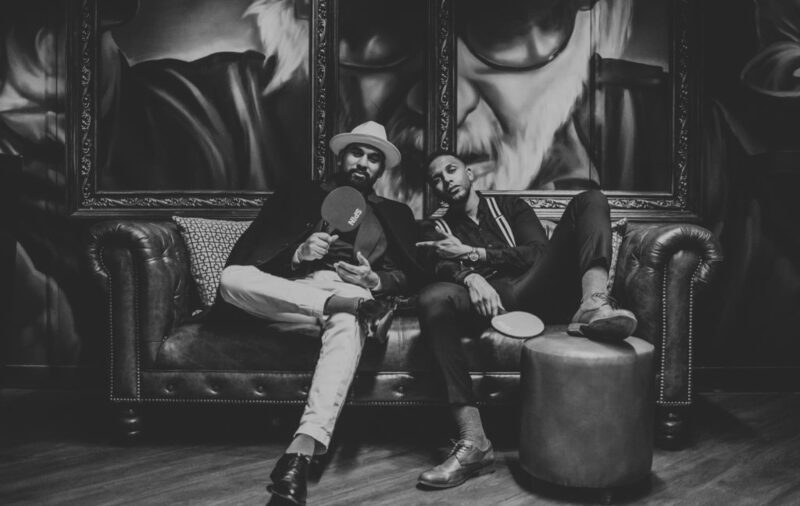 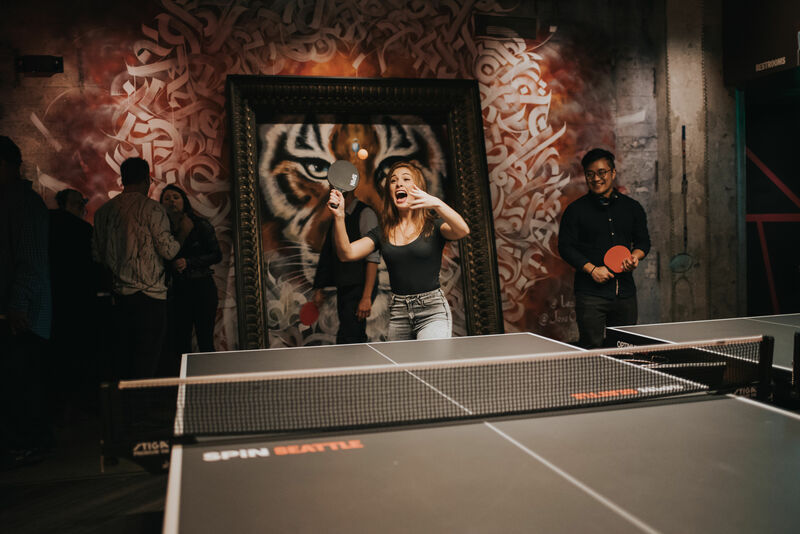 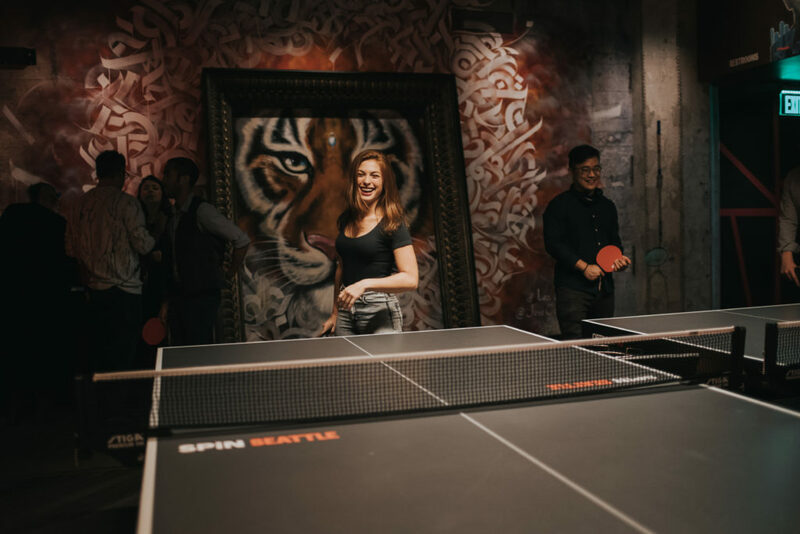 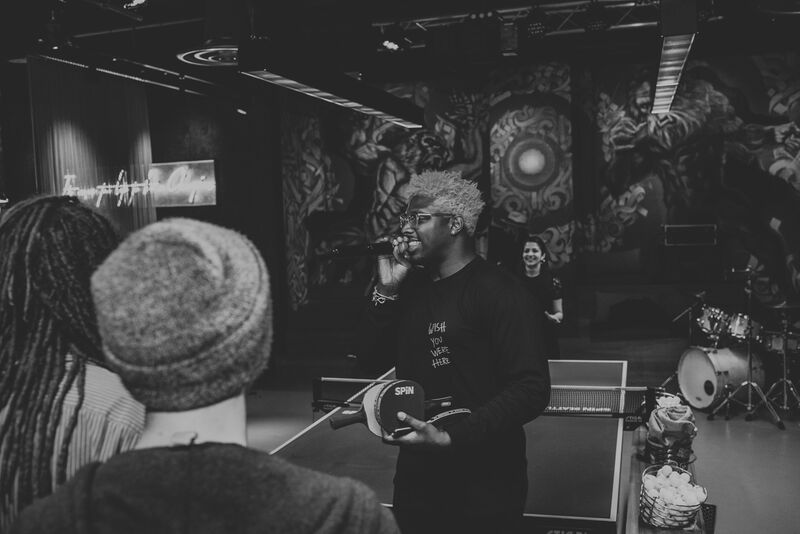 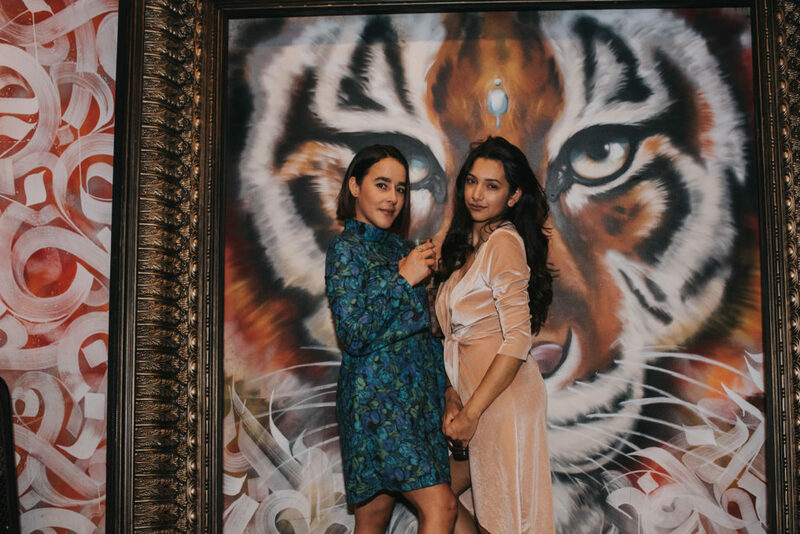 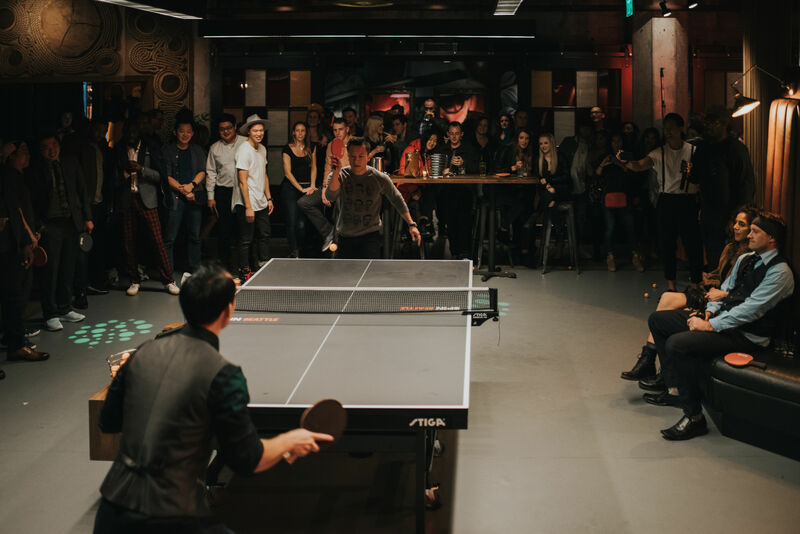 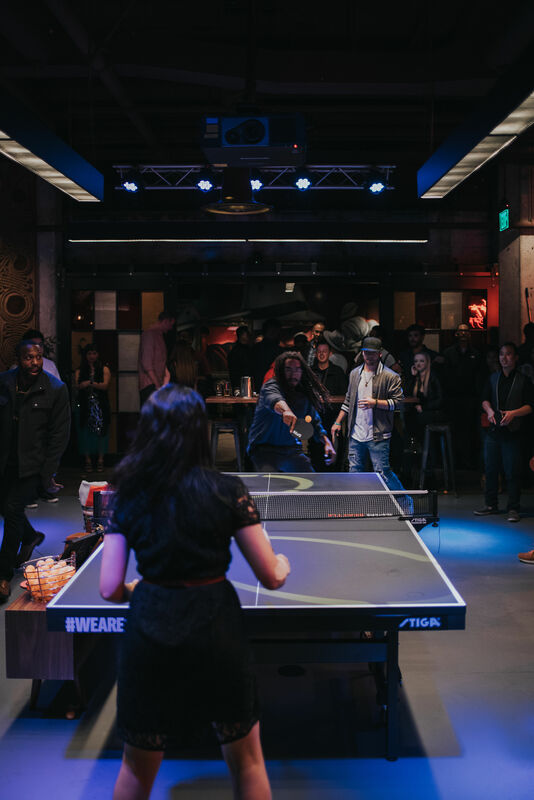 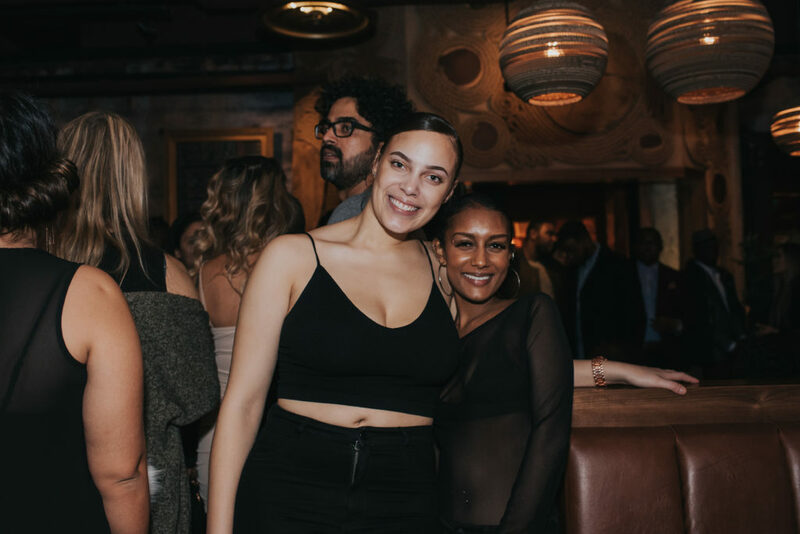 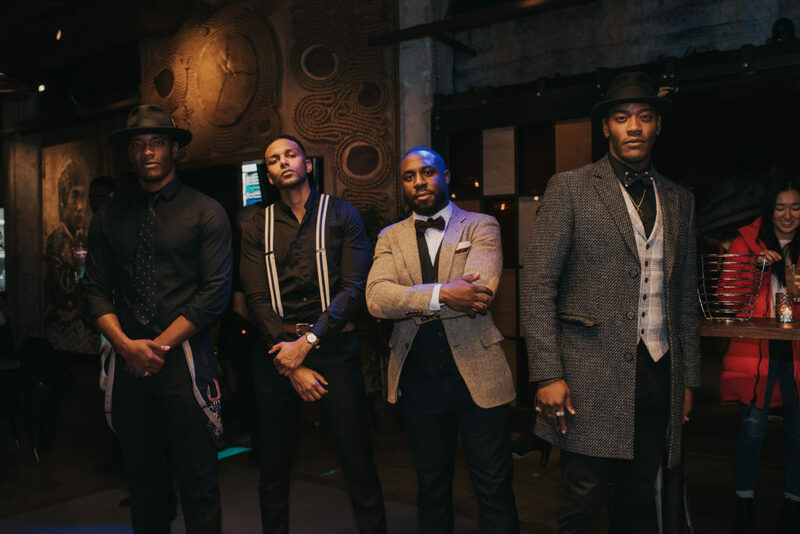 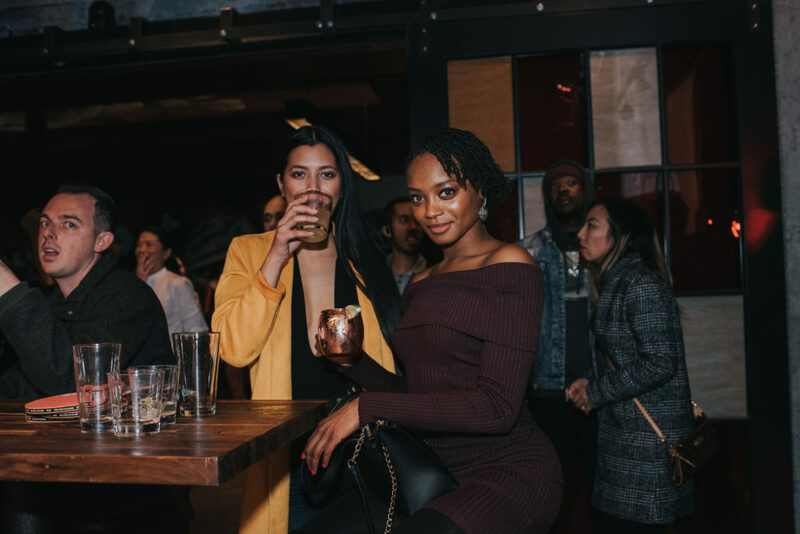 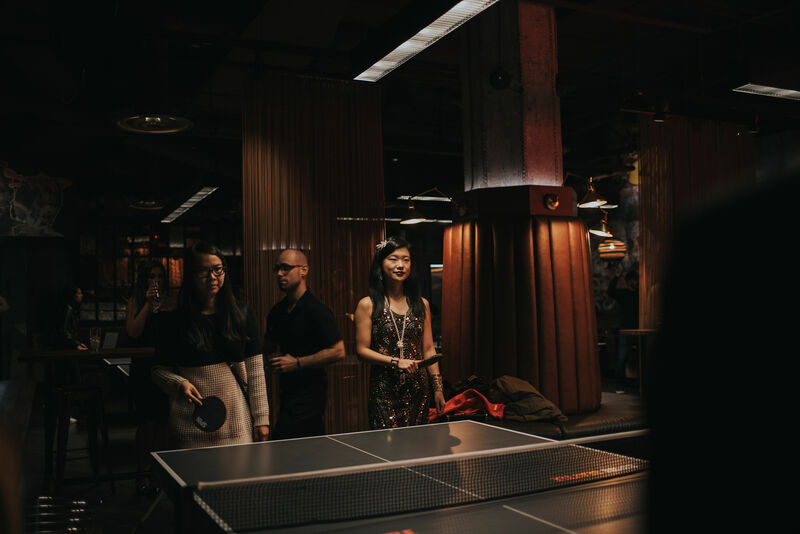 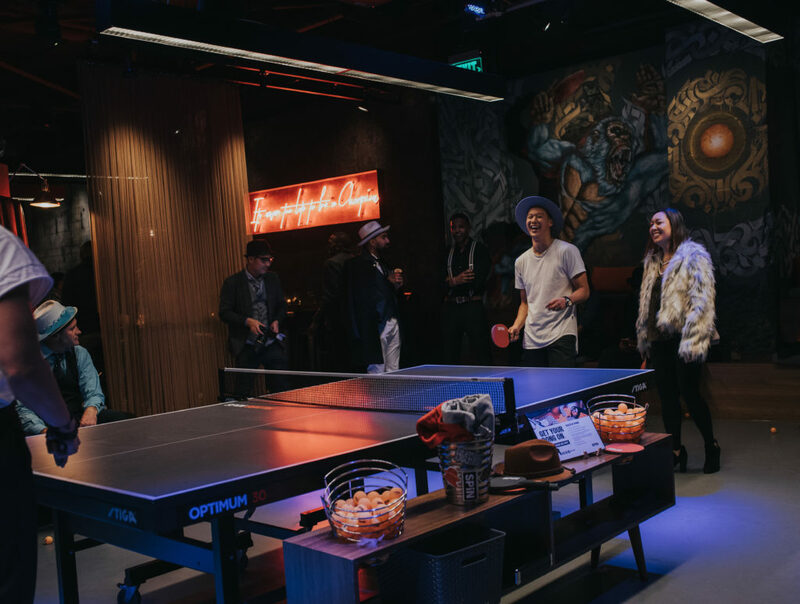 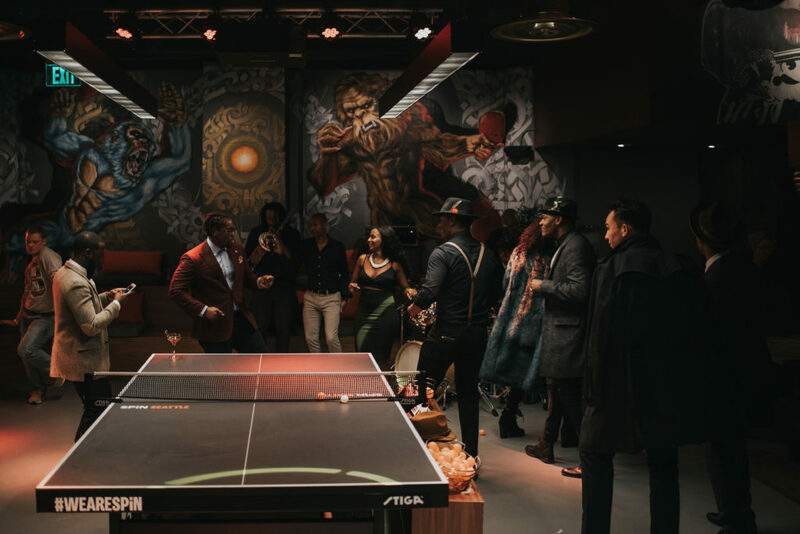 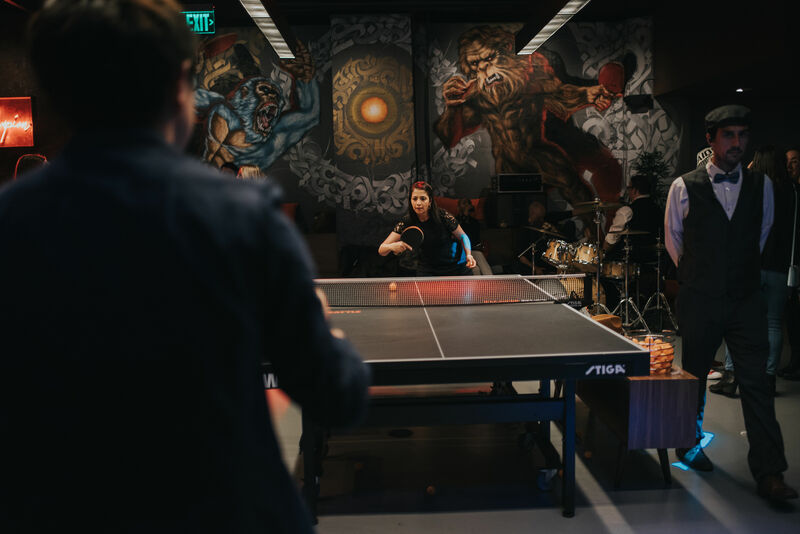 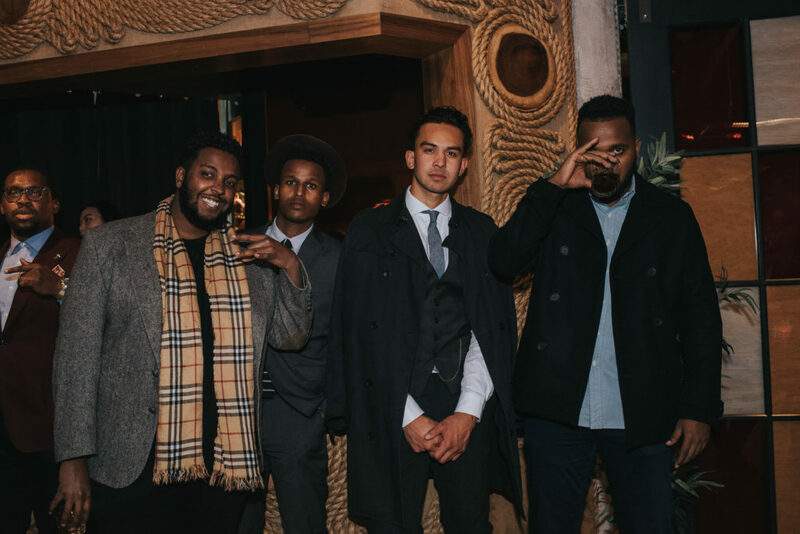 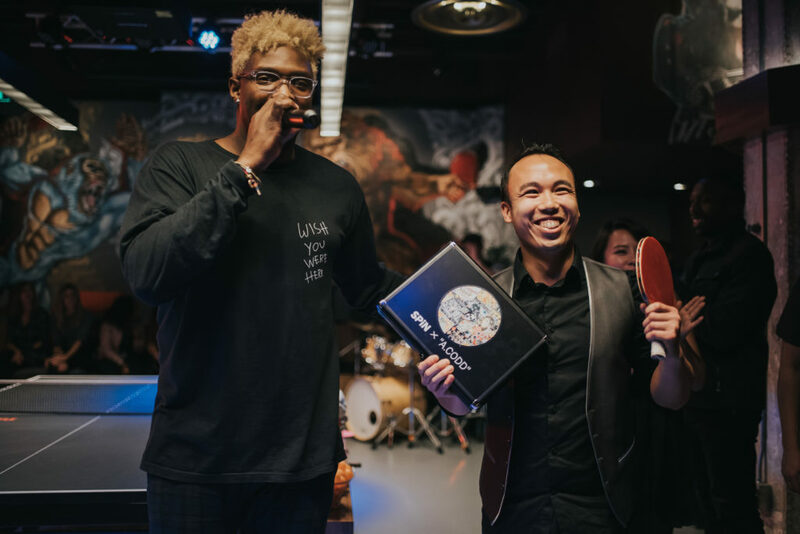 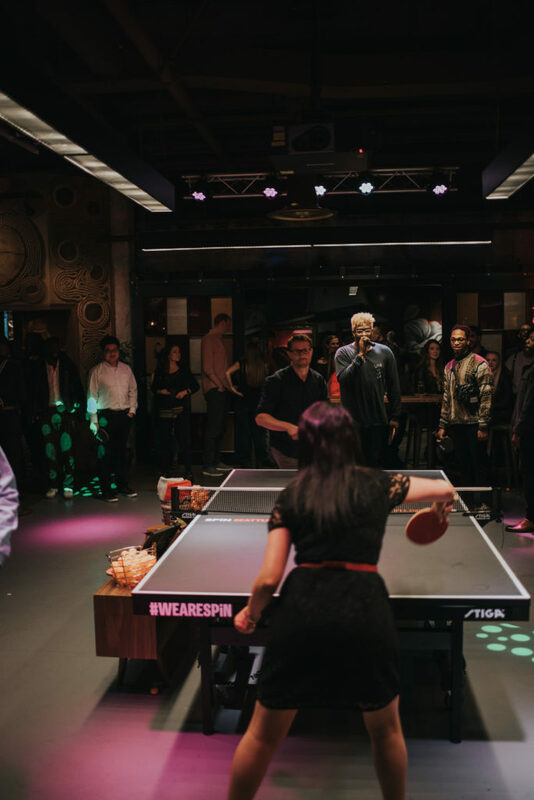 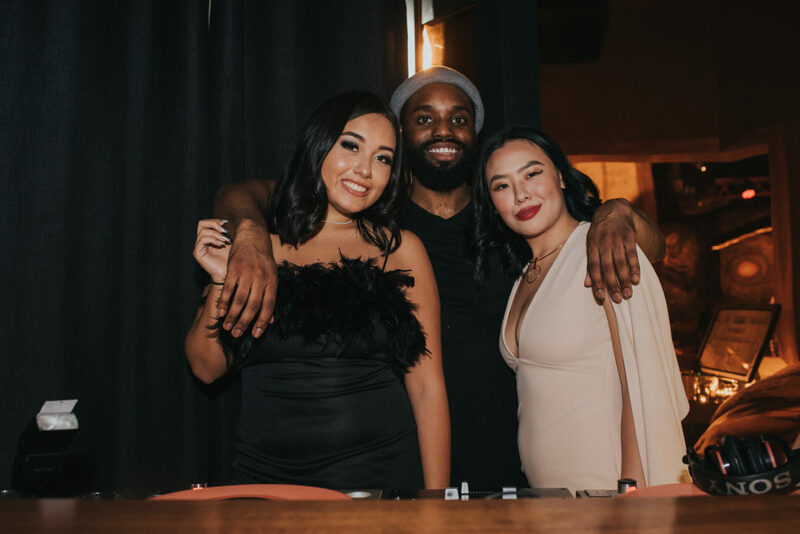 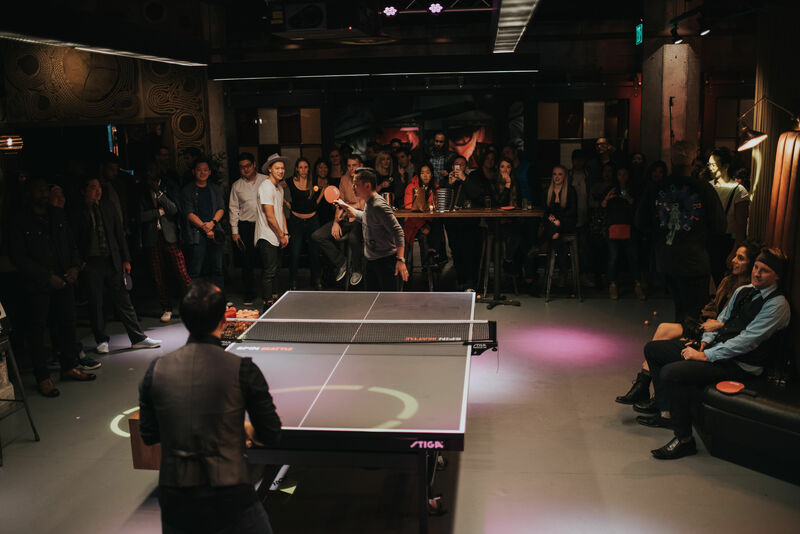 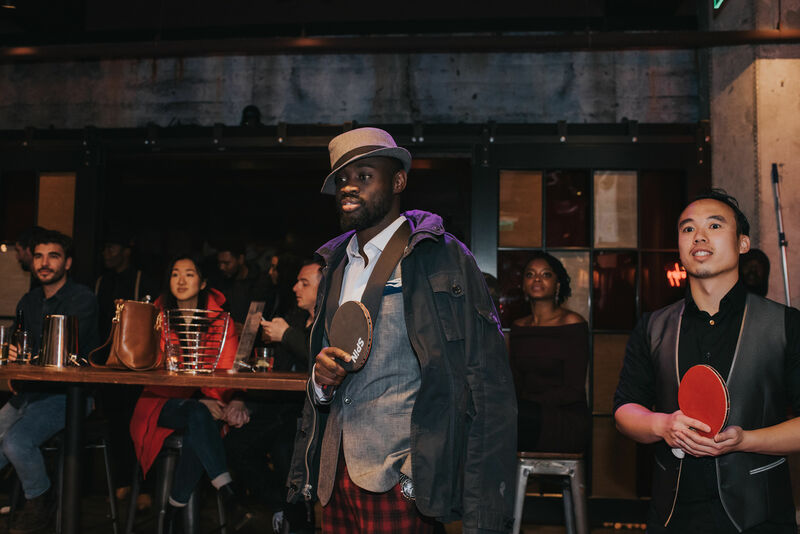 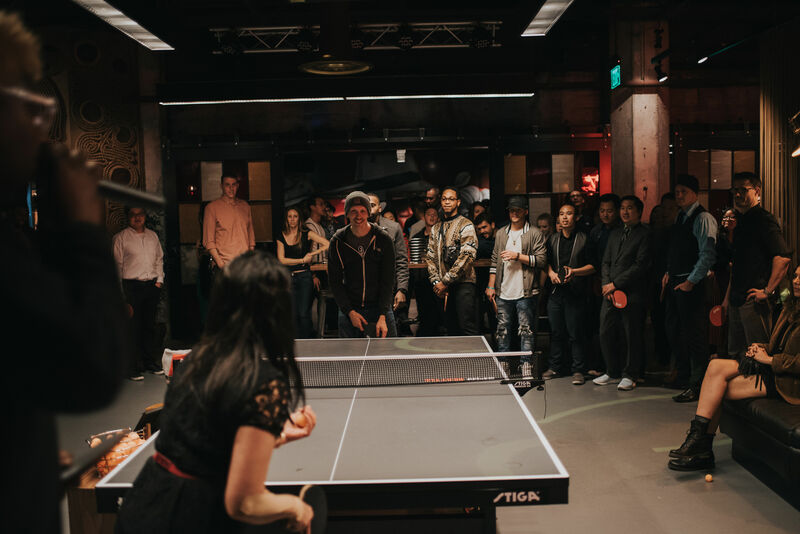 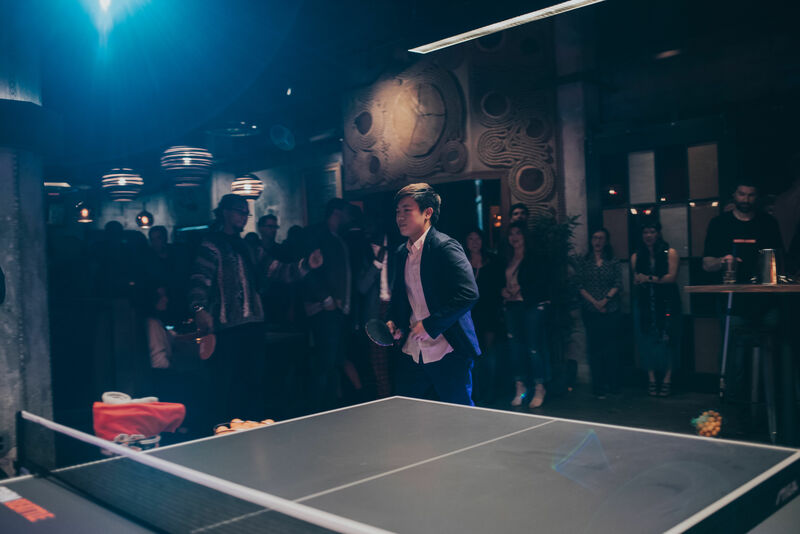 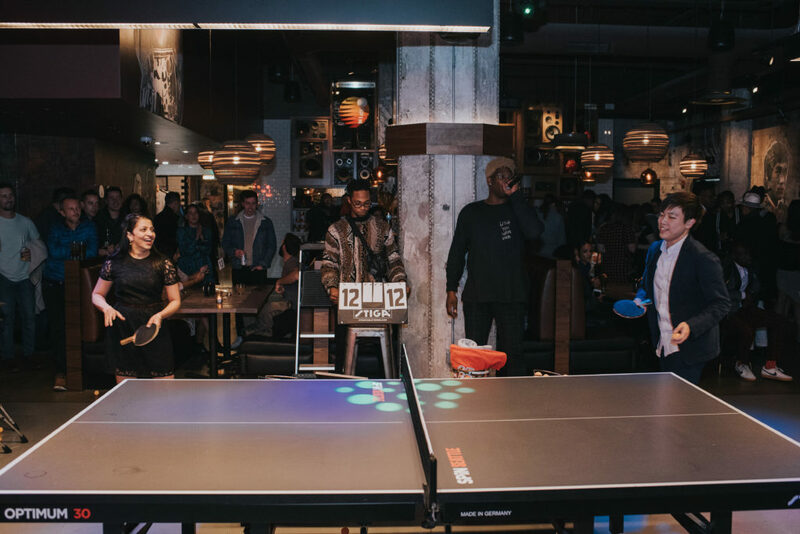 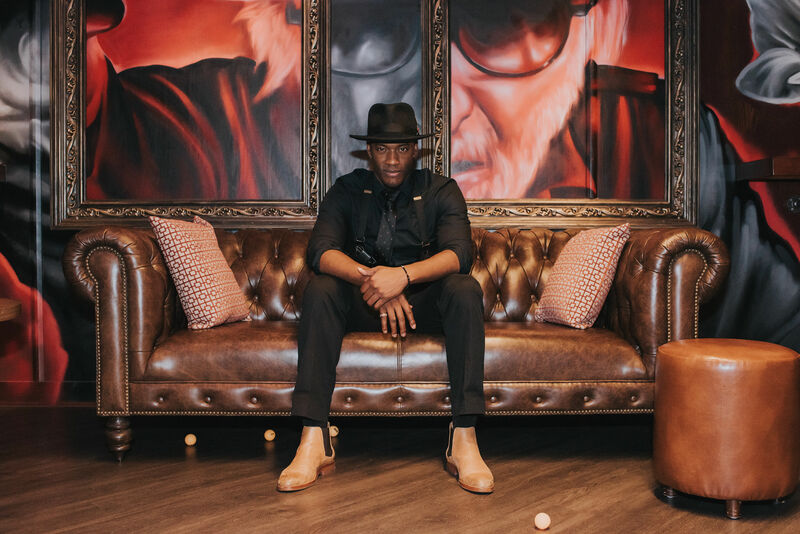 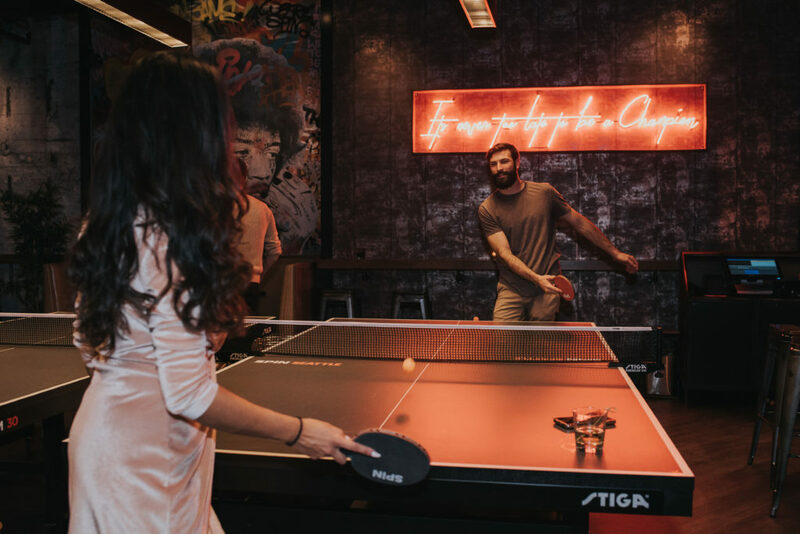 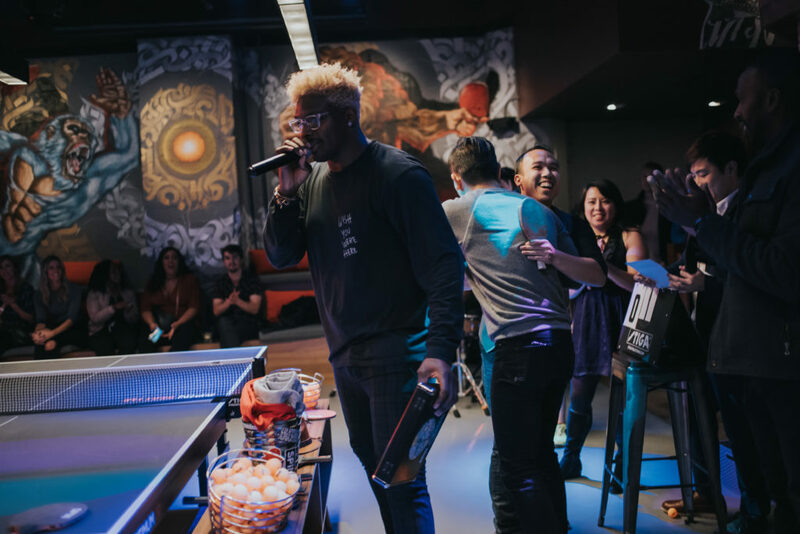 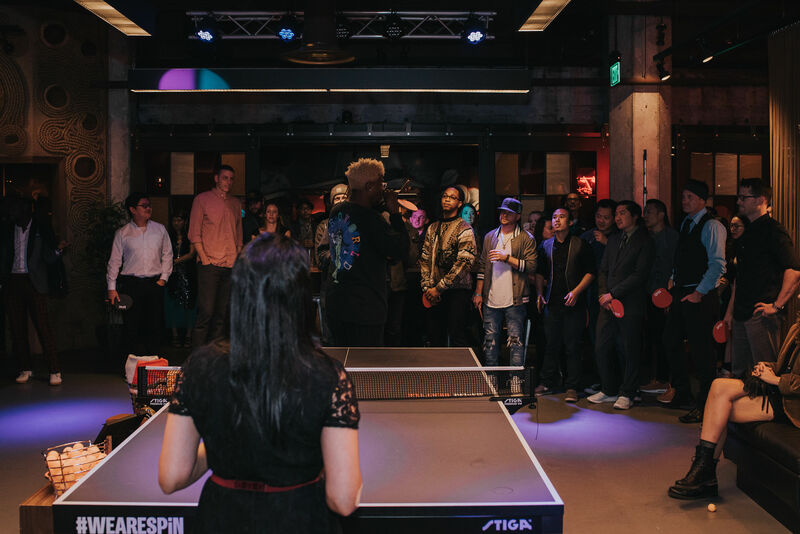 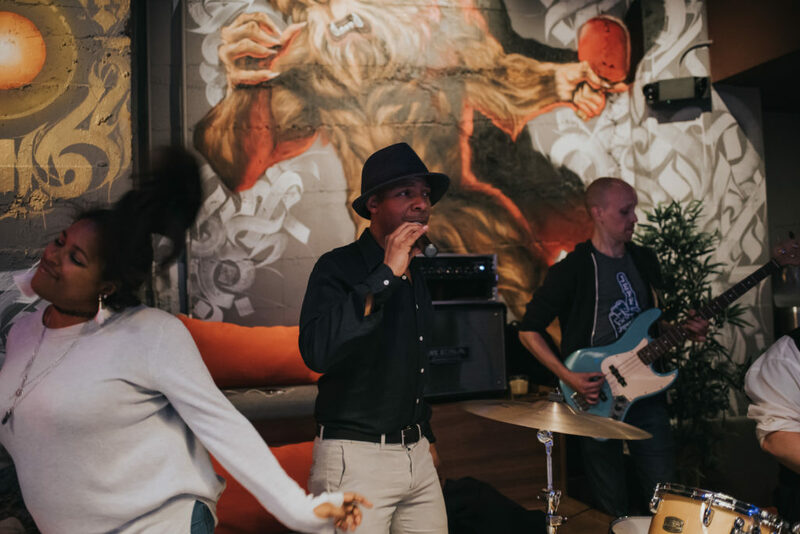 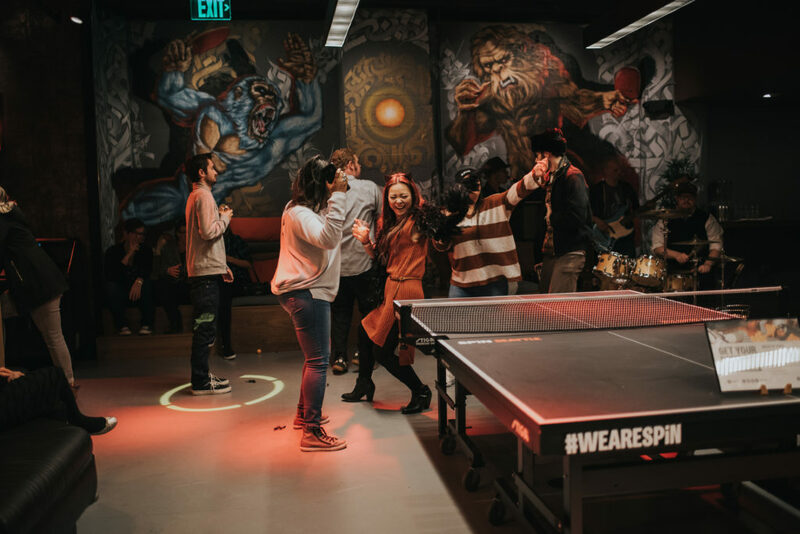 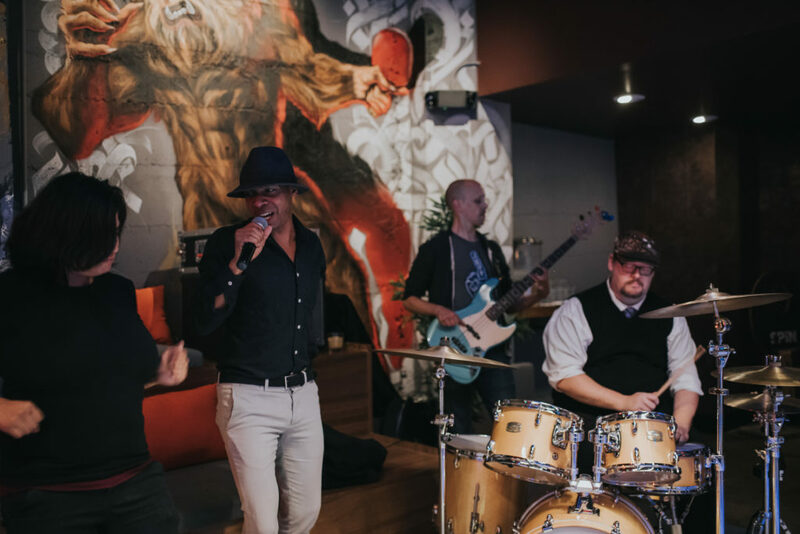 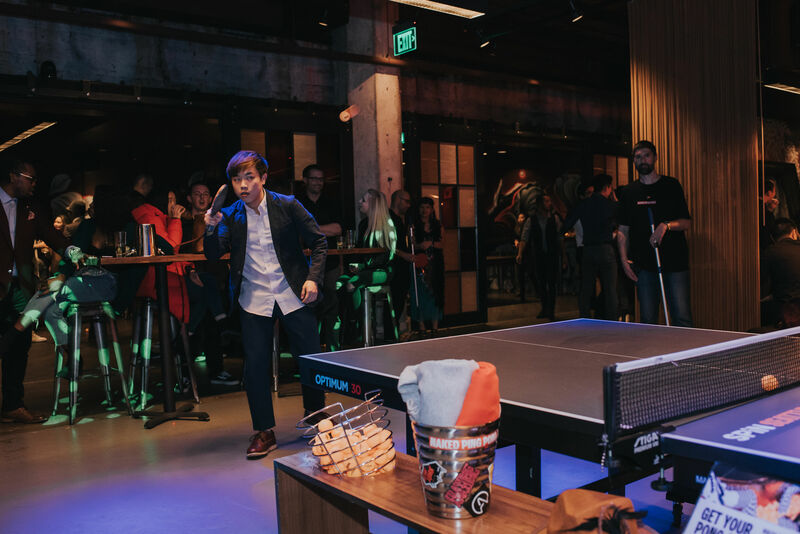 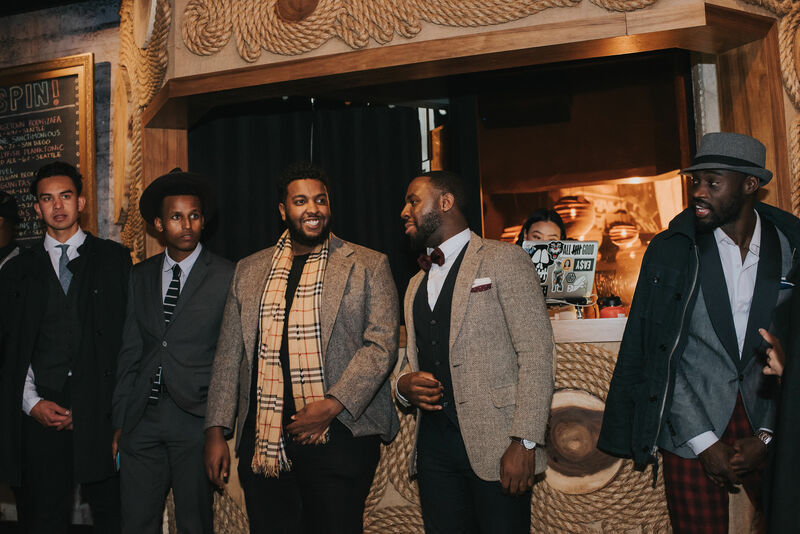 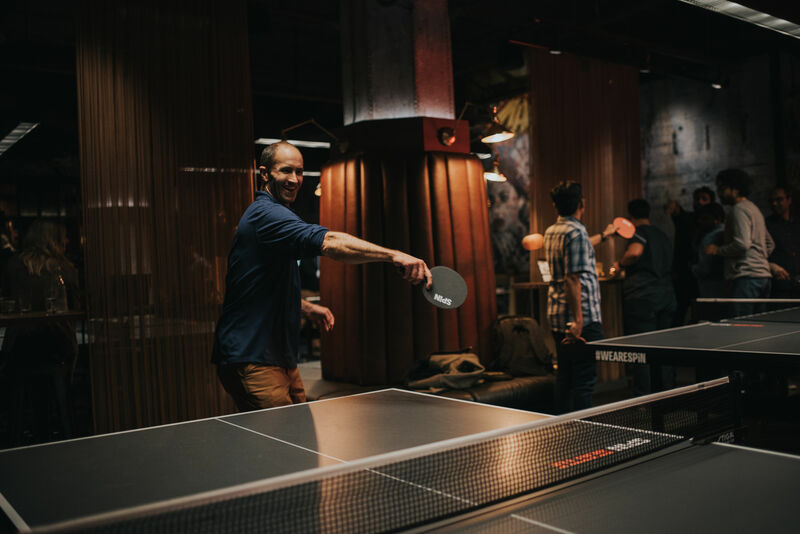 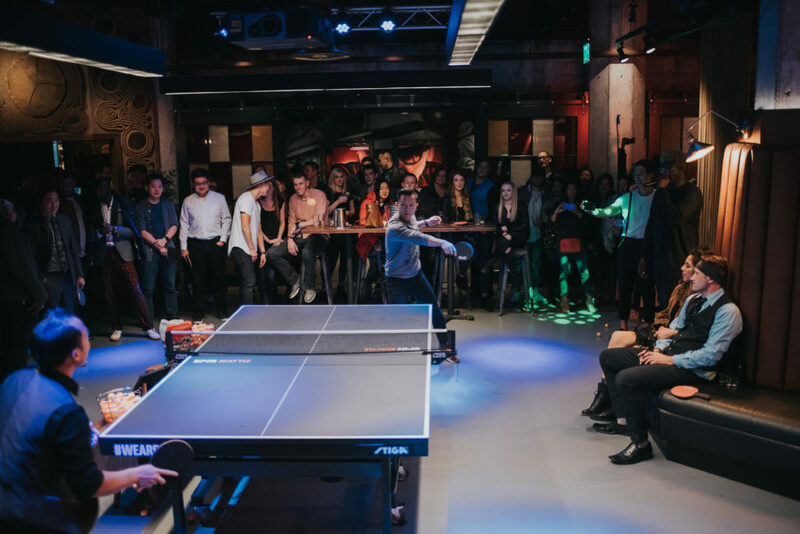 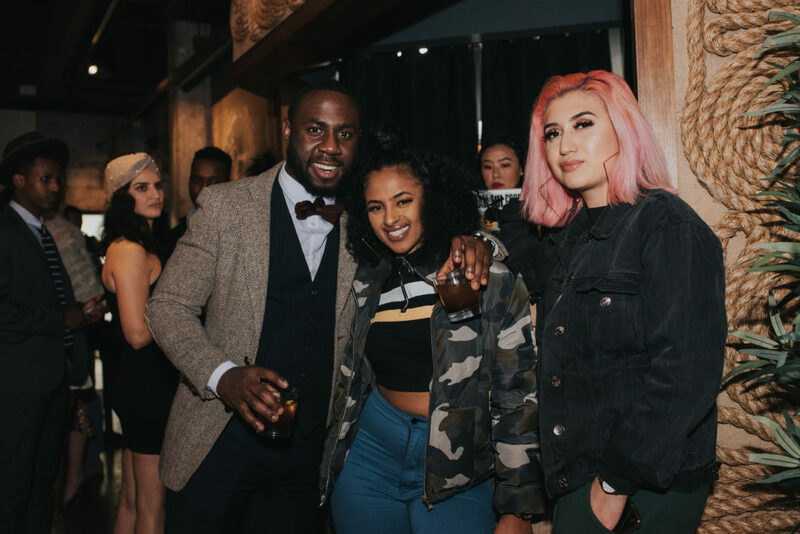 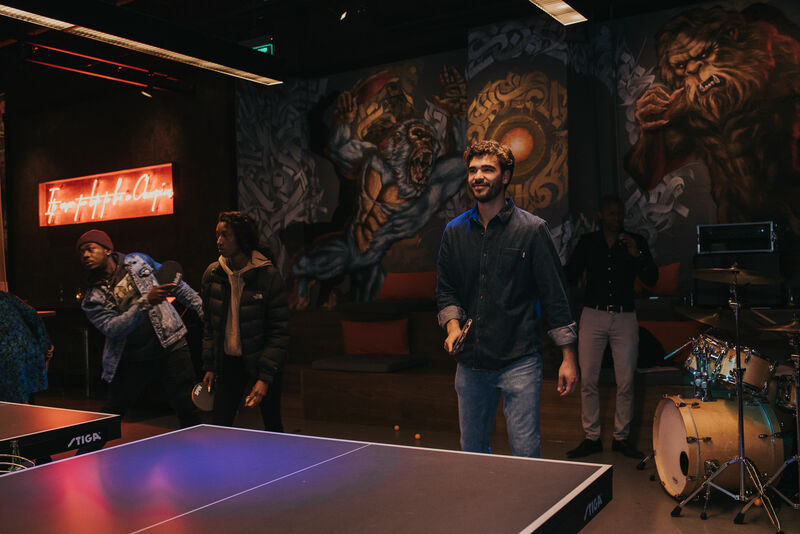 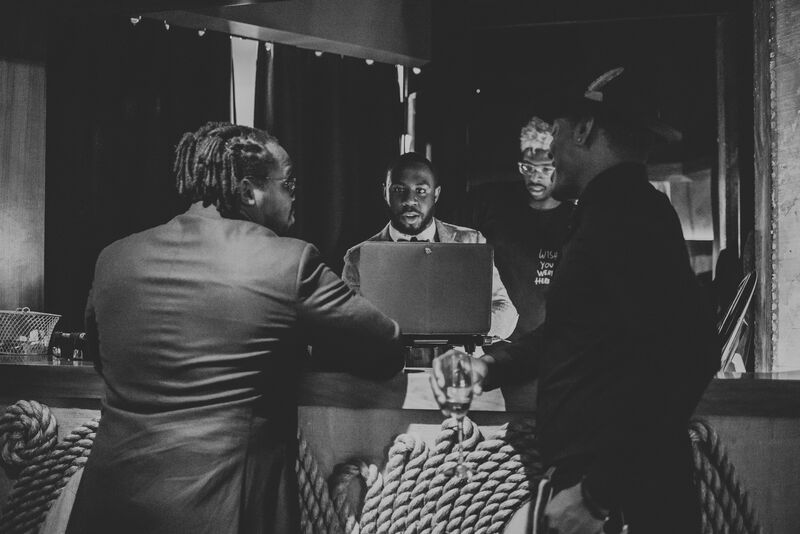 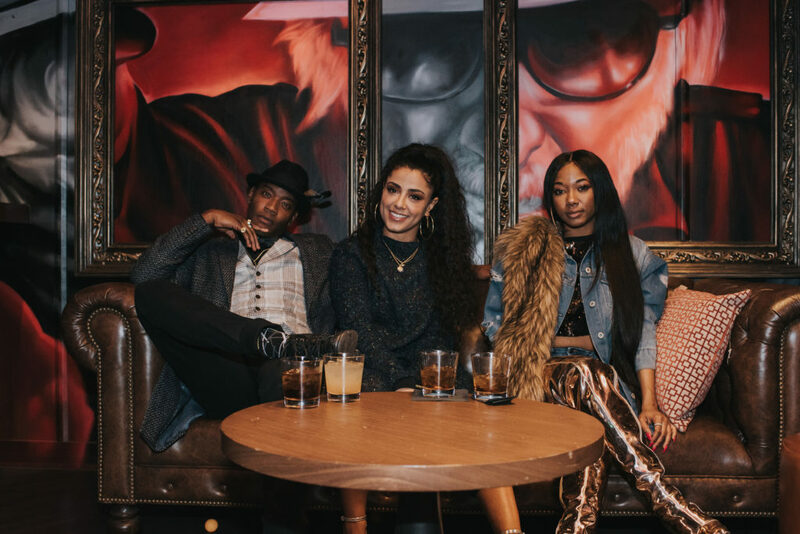 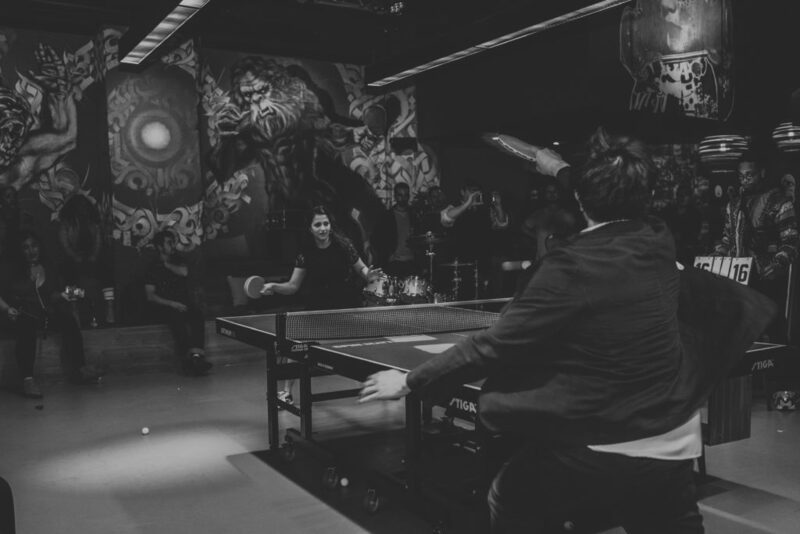 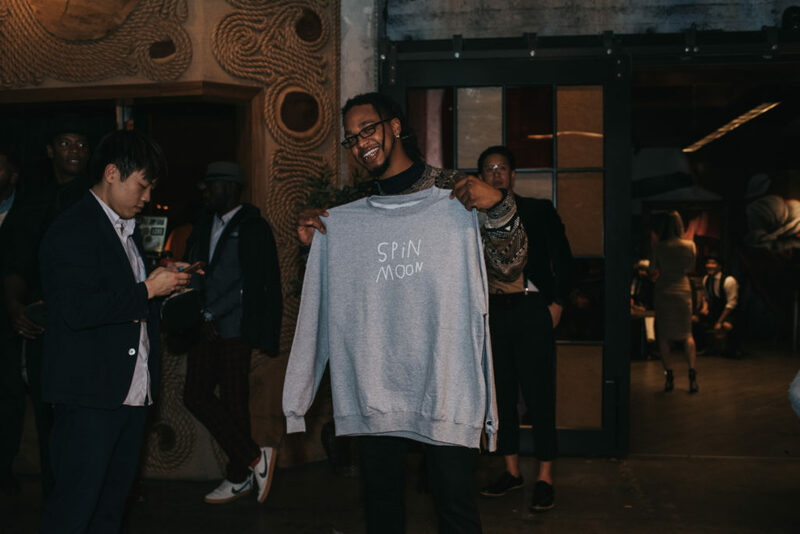 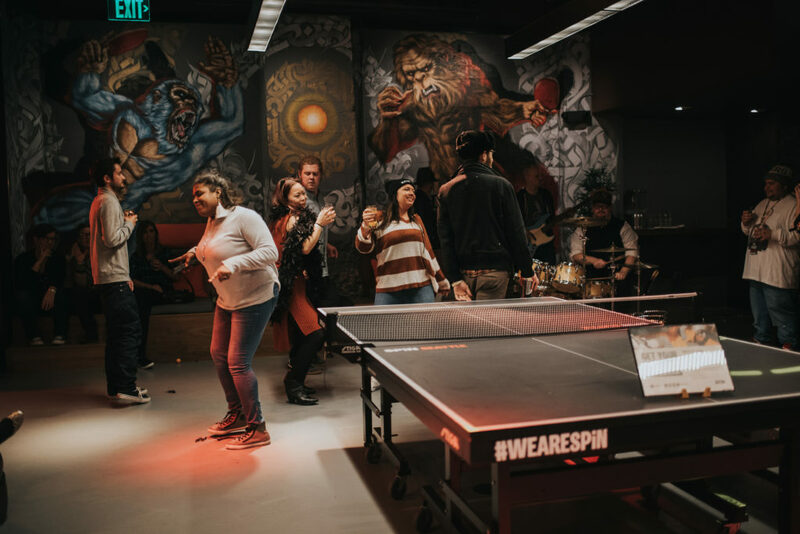 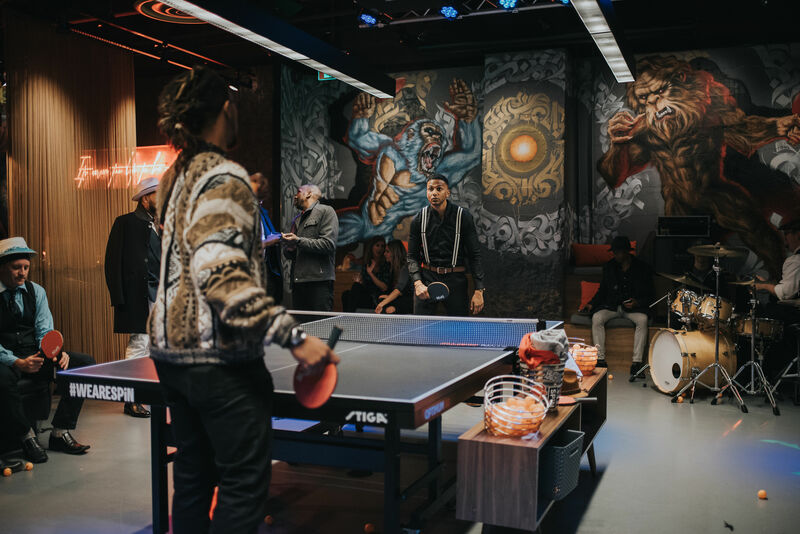 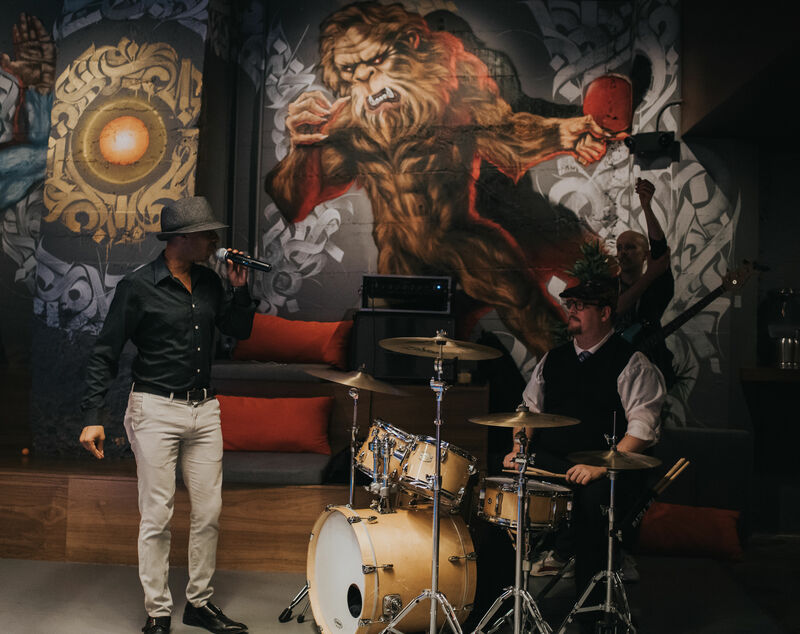 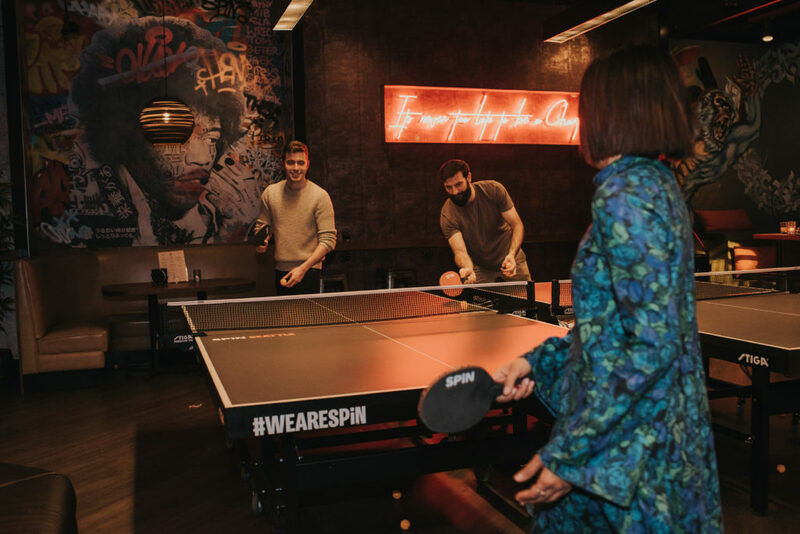 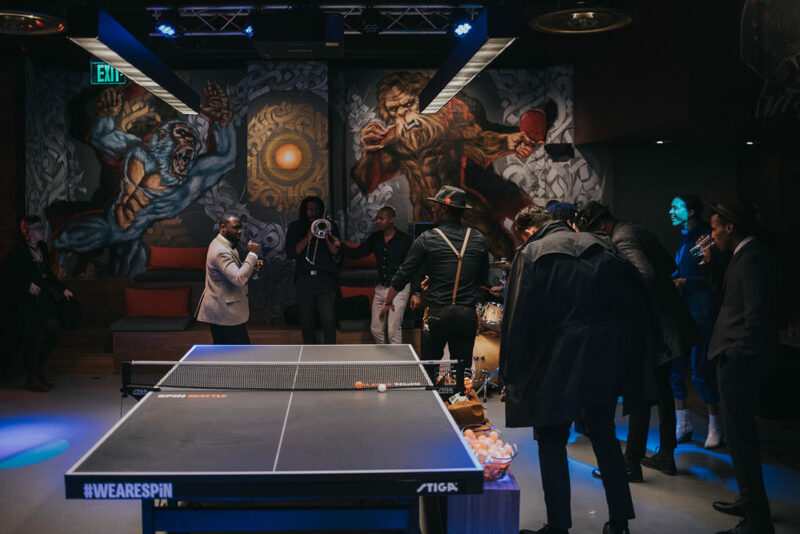 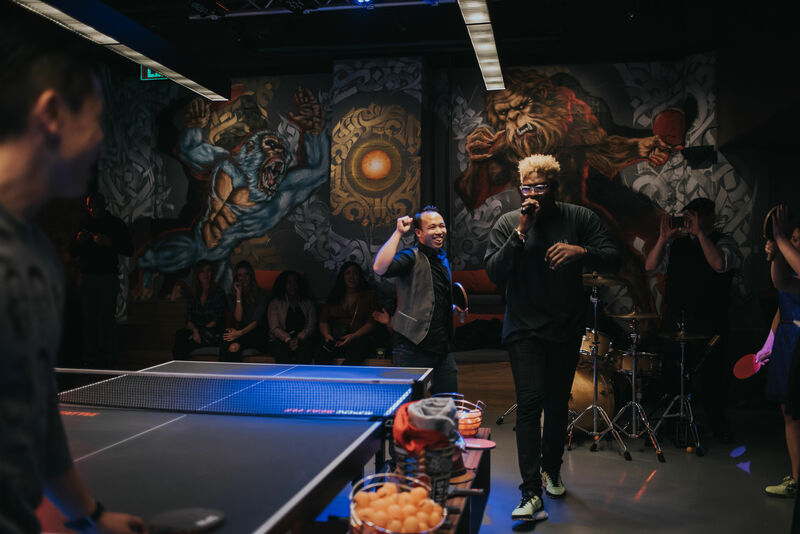 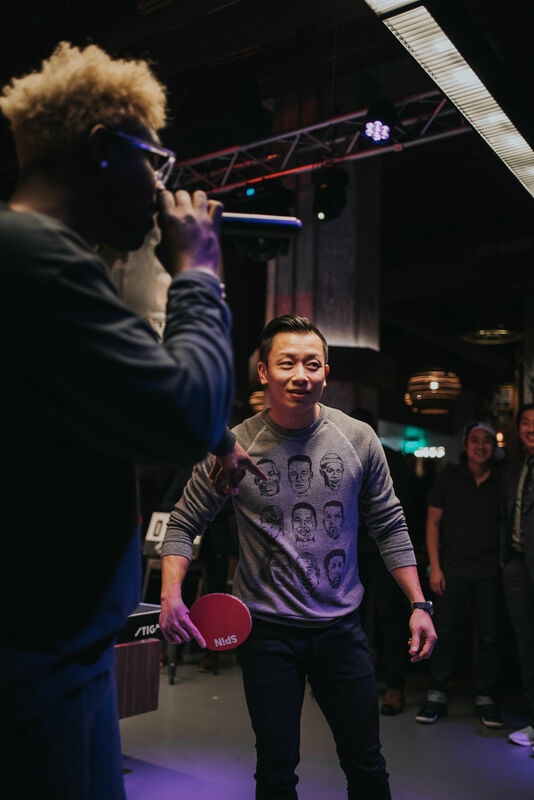 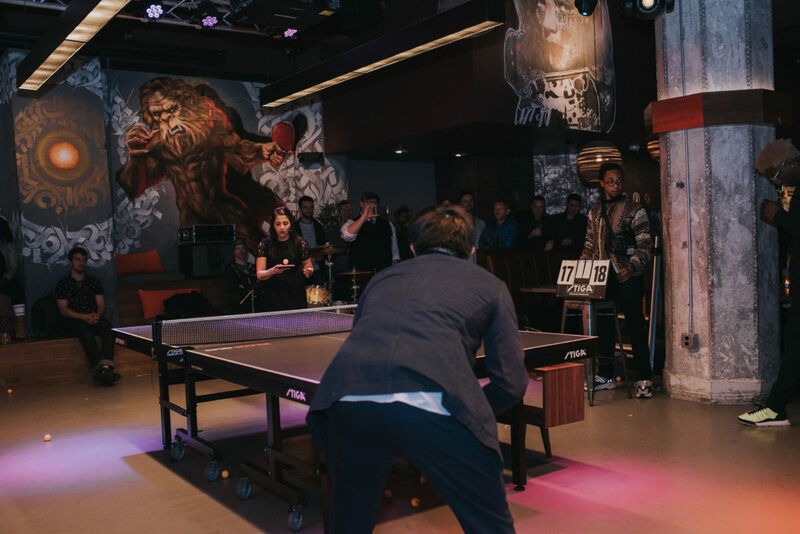 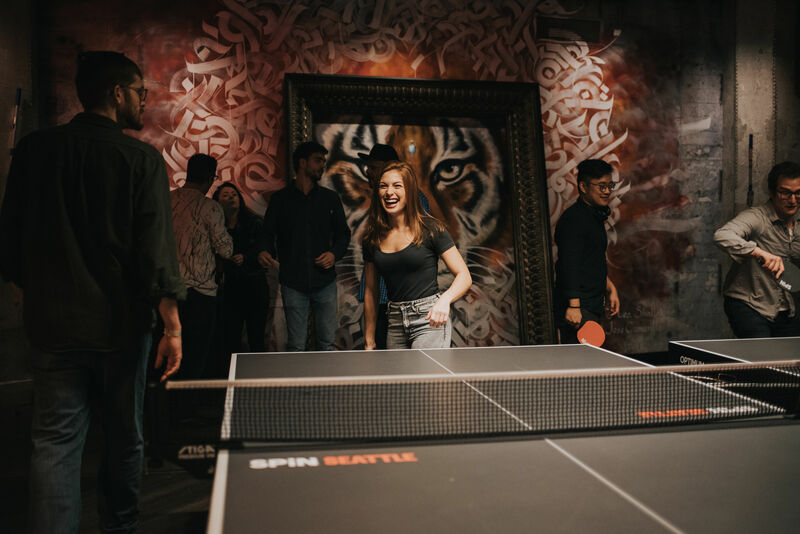 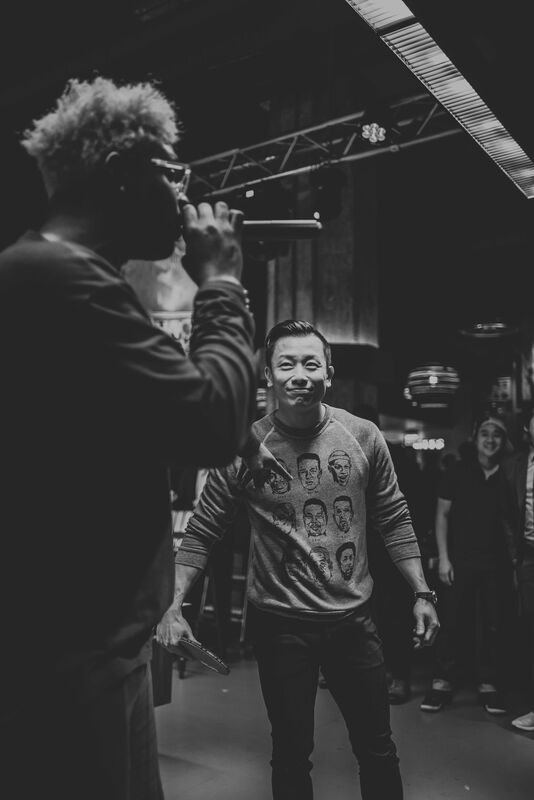 Summary: The Laidback Allure team kicked off their new partnership with SPiN, a ping pong social club embracing diversity and changing the way we view nightlife. 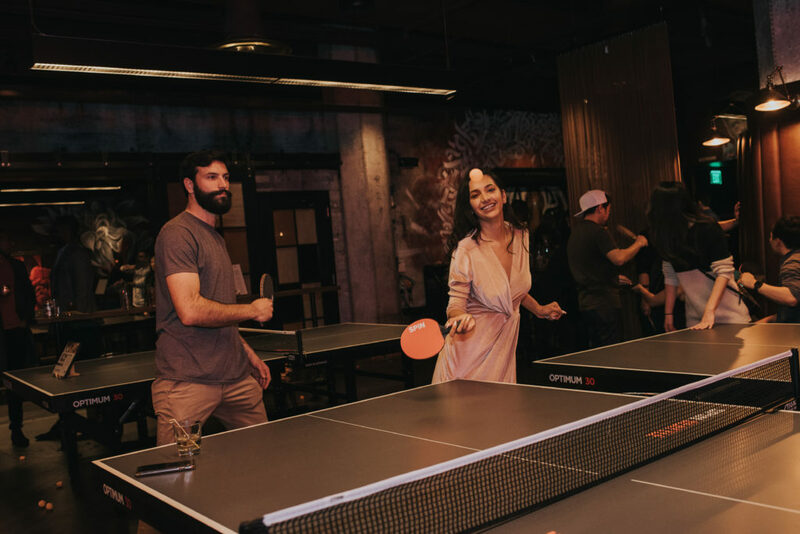 With its flagship location in New York City, they now housing several locations including Chicago, San Francisco, Toronto, Philadelphia, Austin and of course, Seattle. 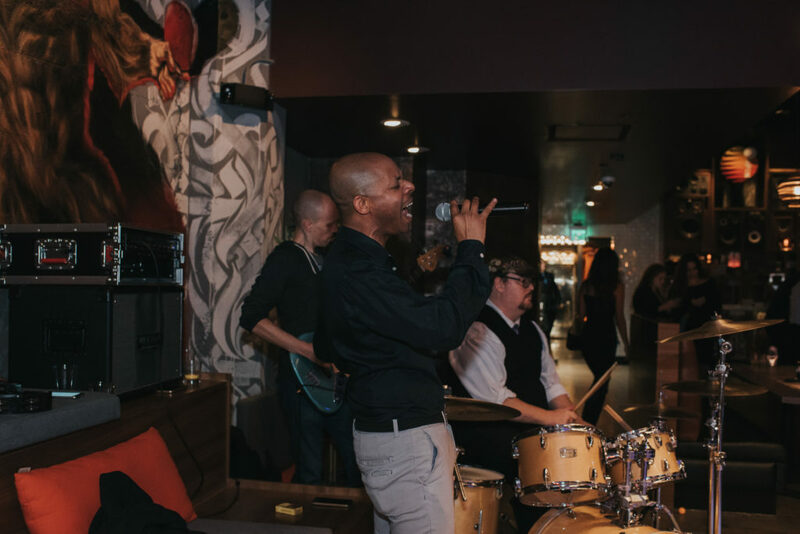 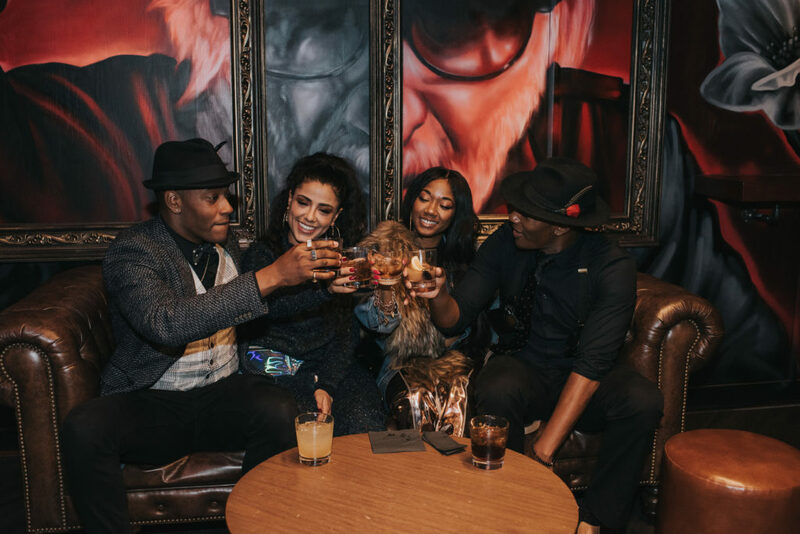 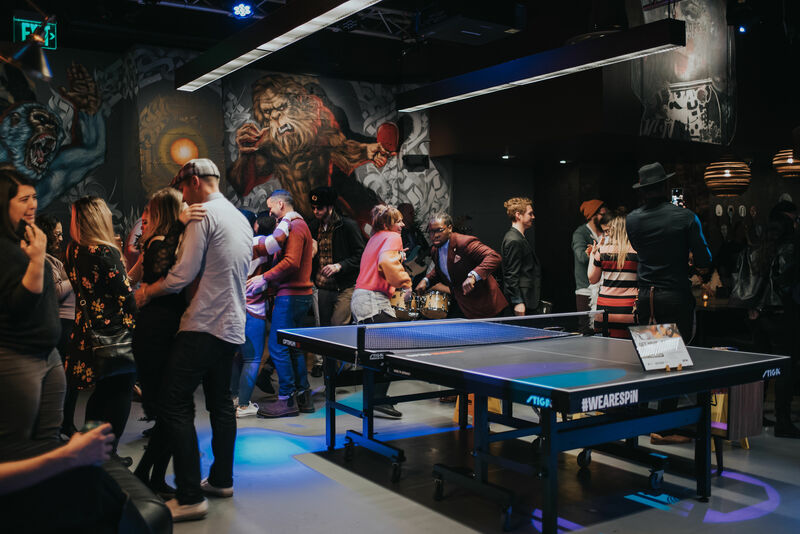 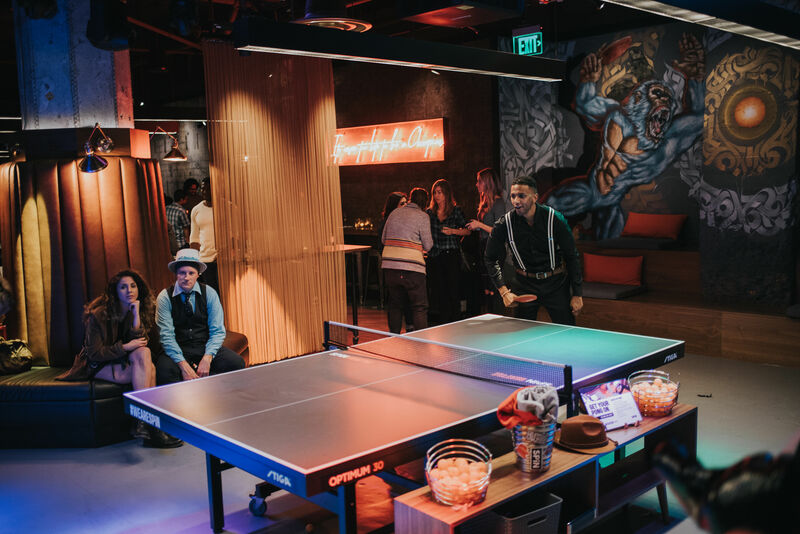 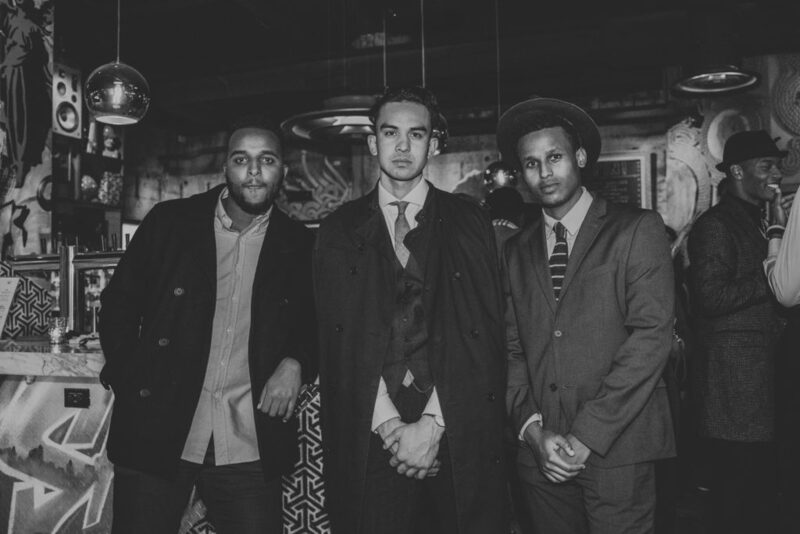 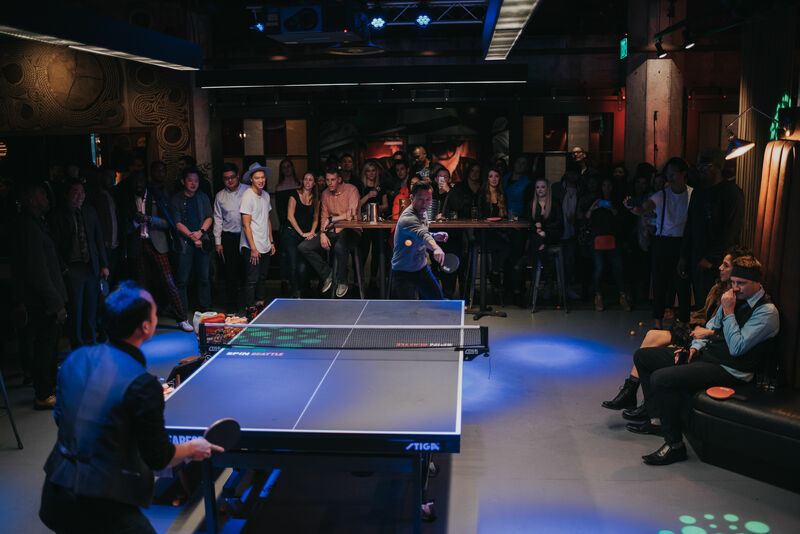 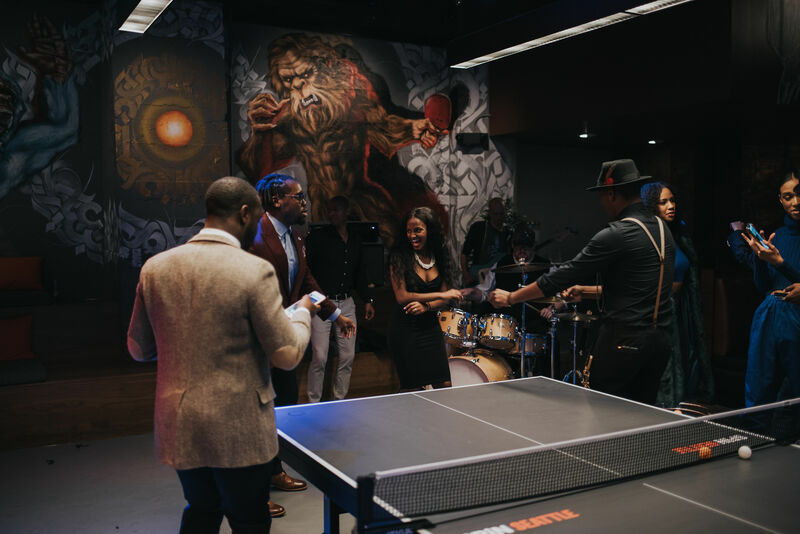 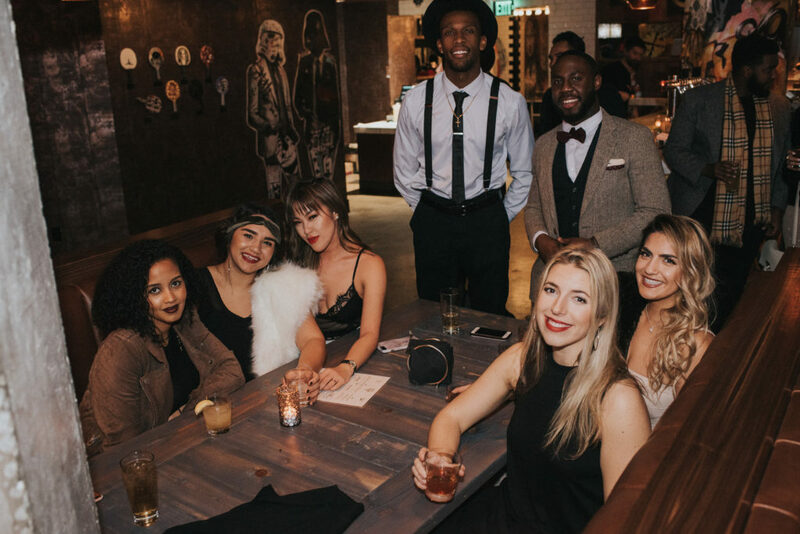 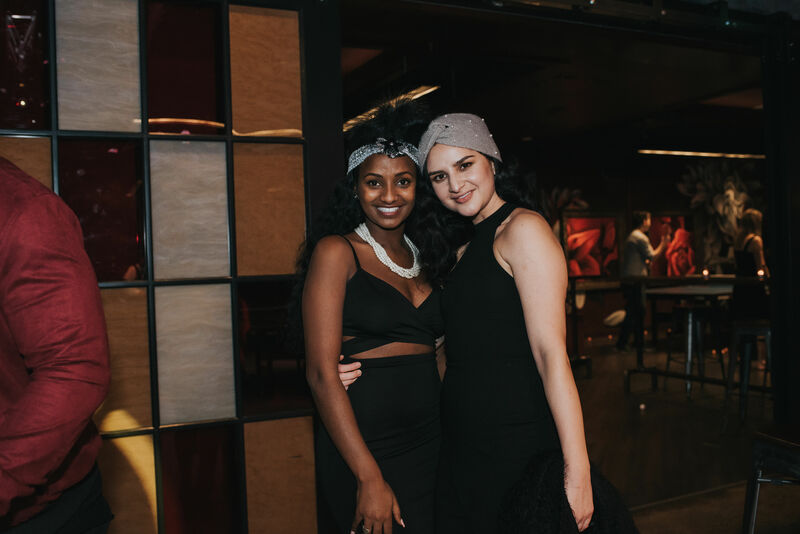 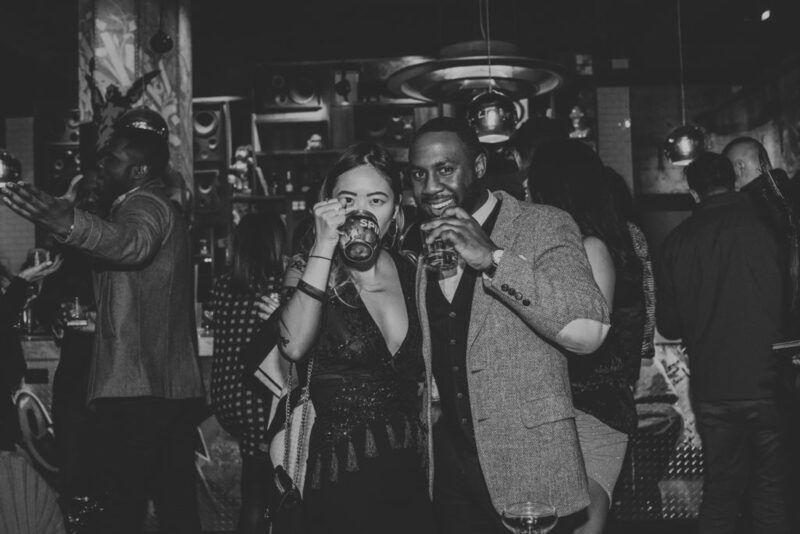 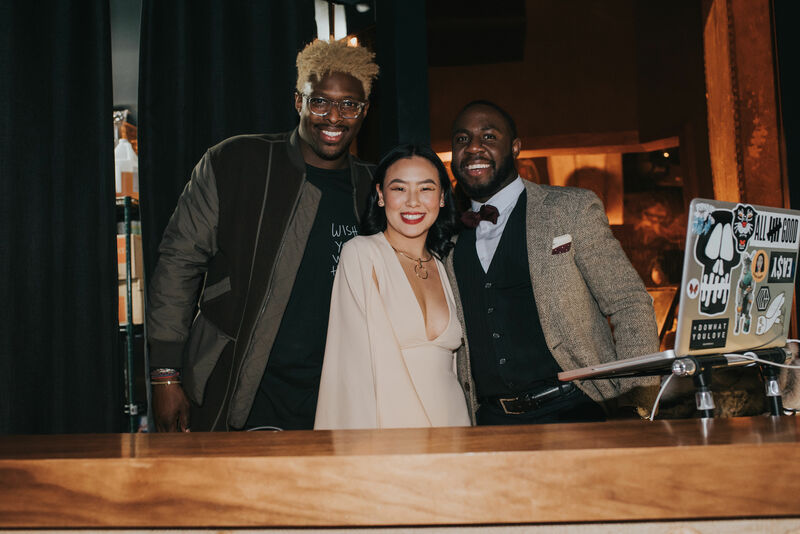 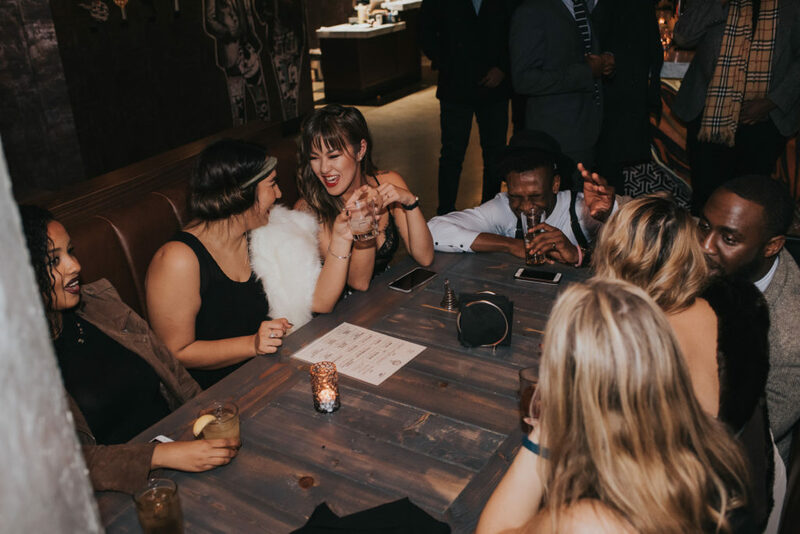 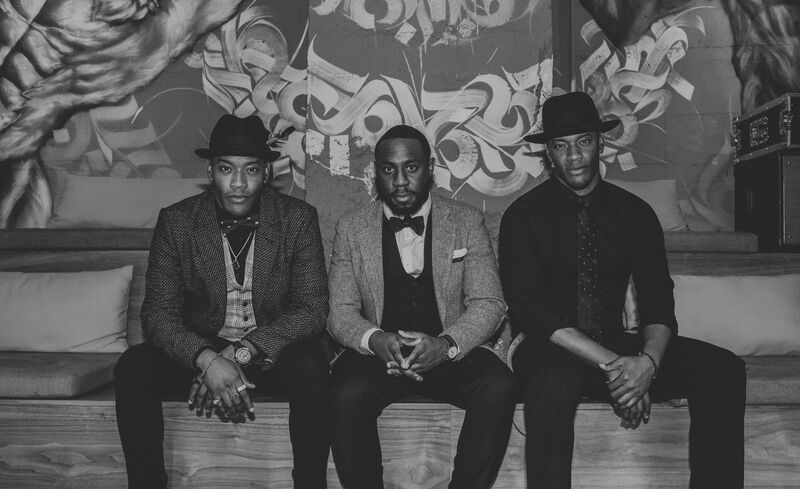 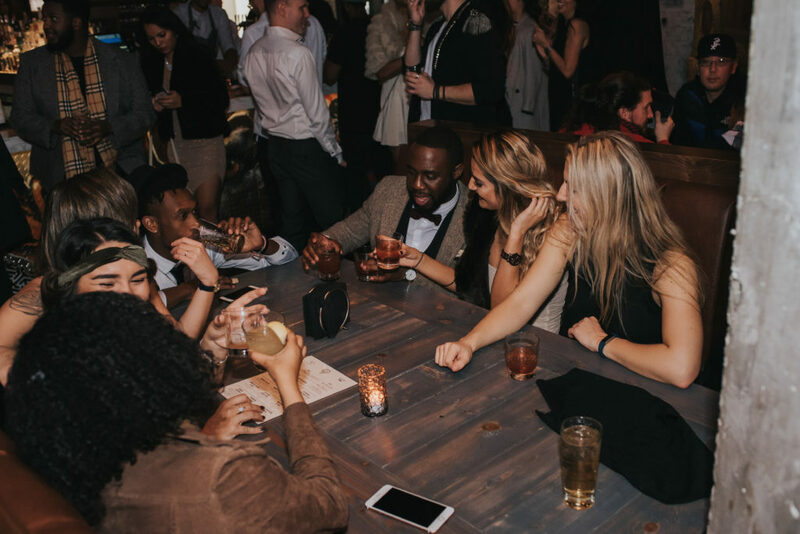 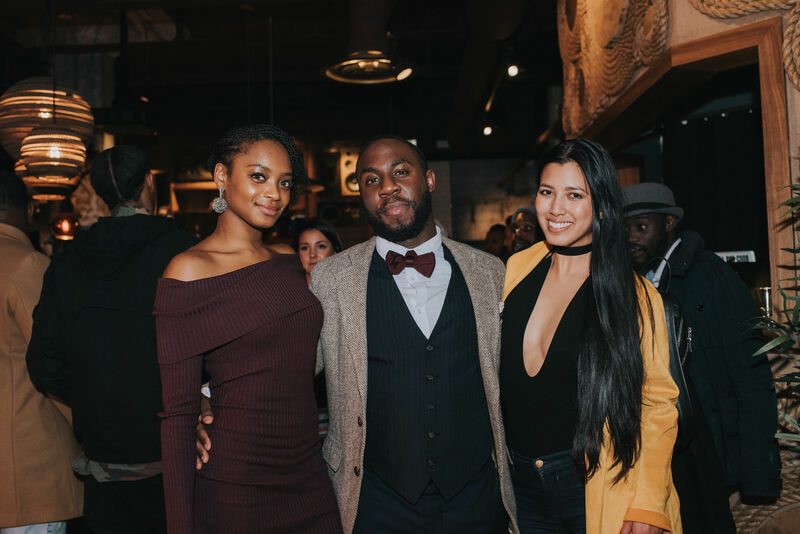 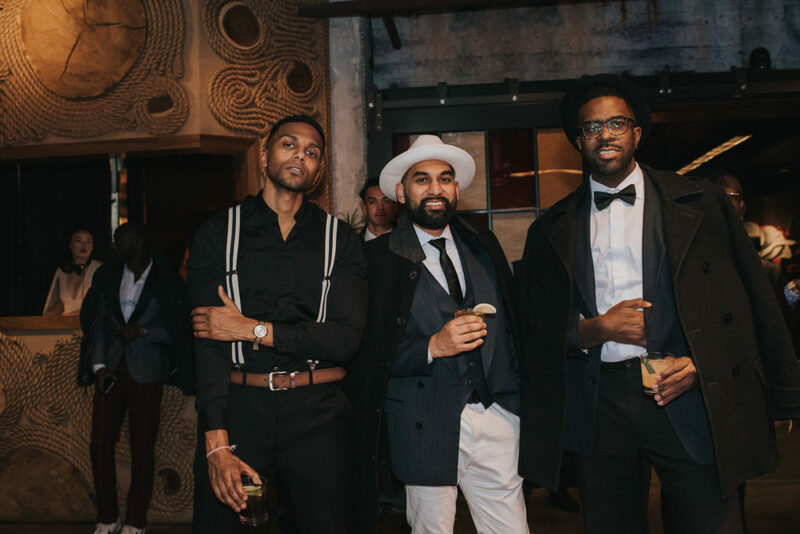 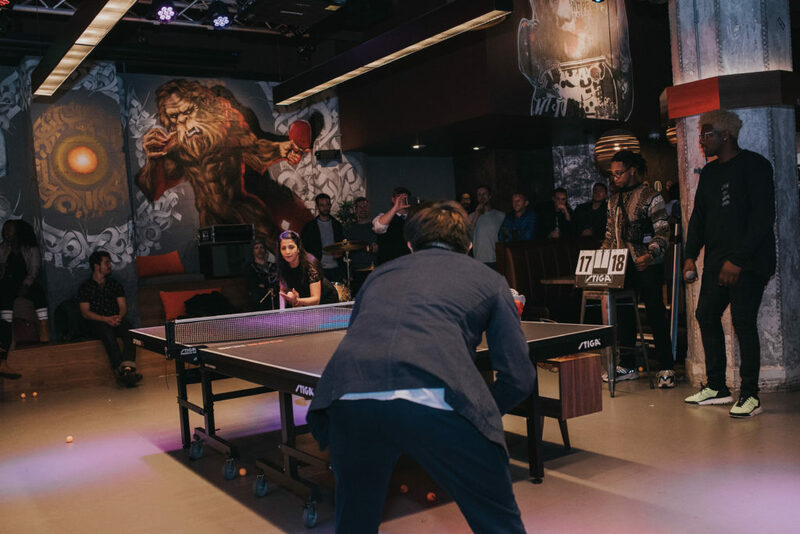 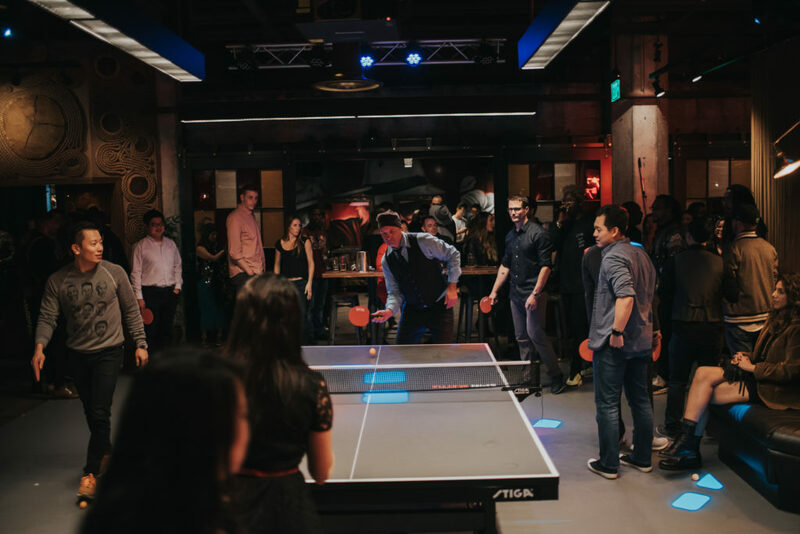 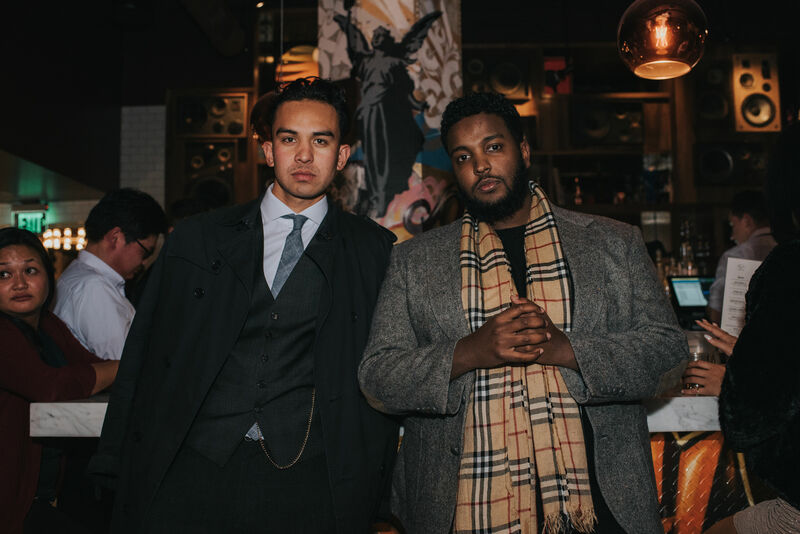 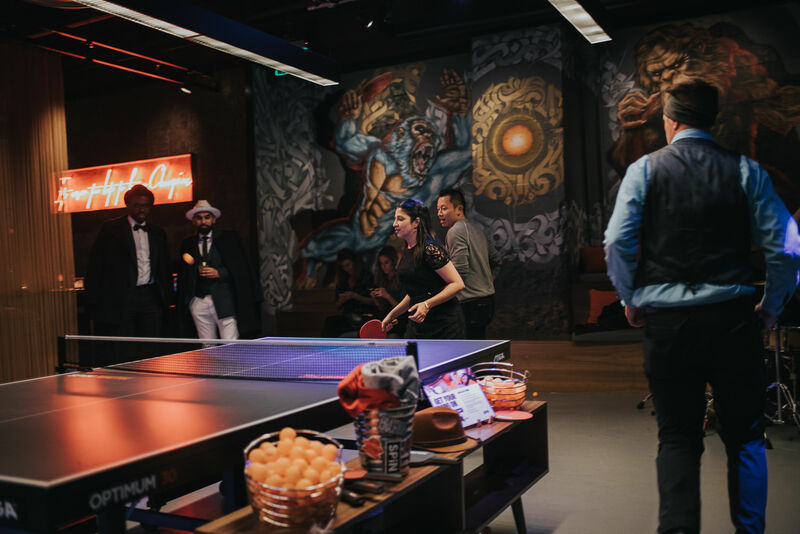 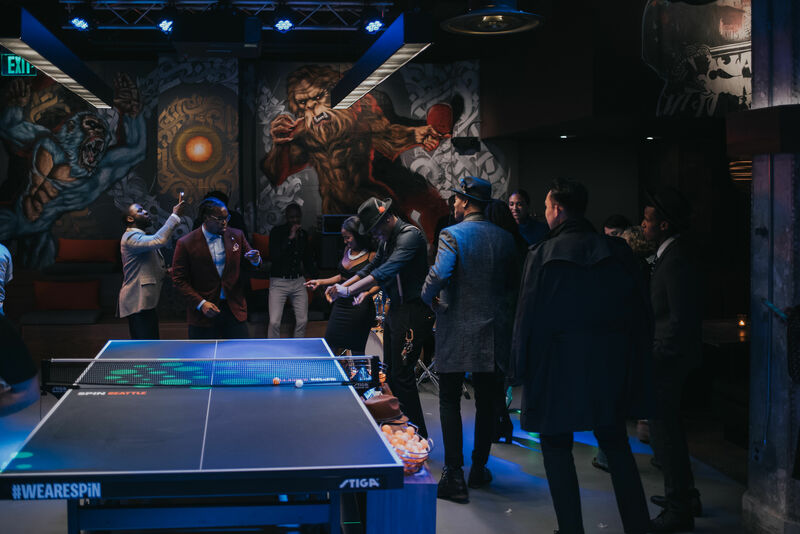 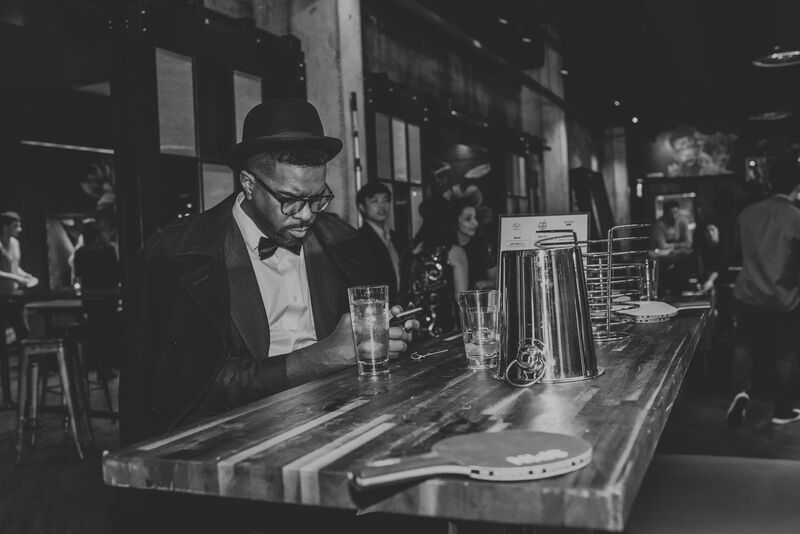 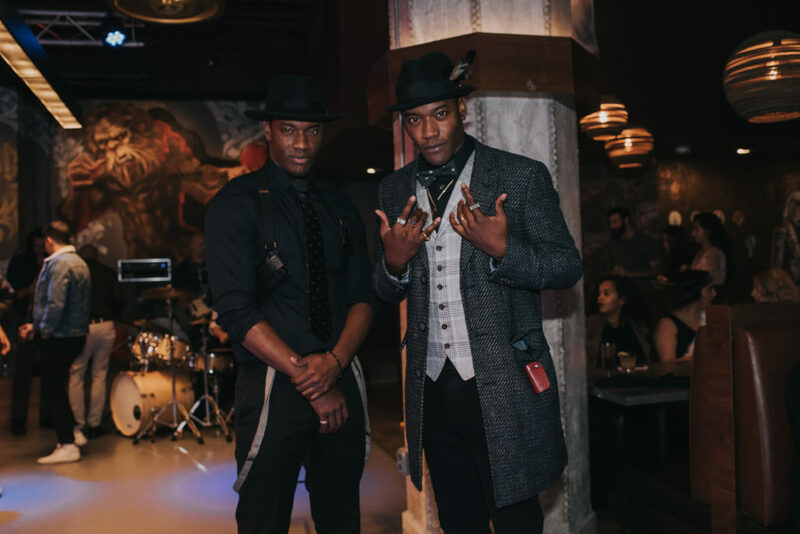 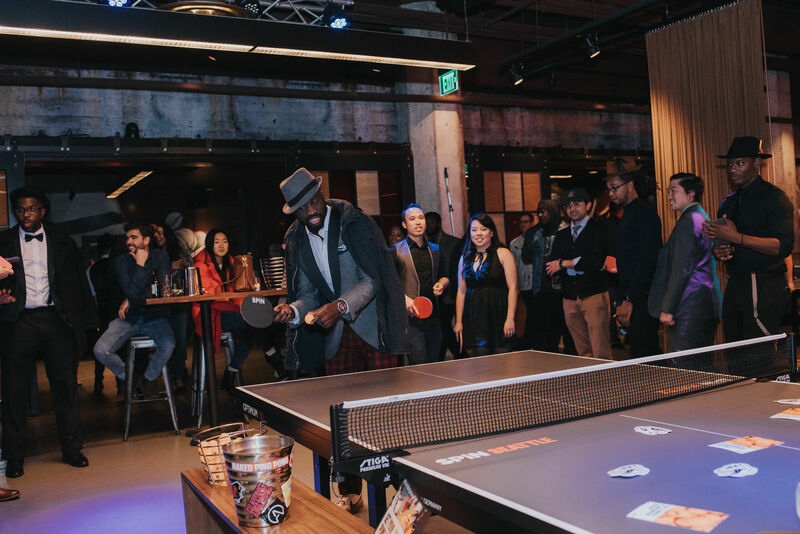 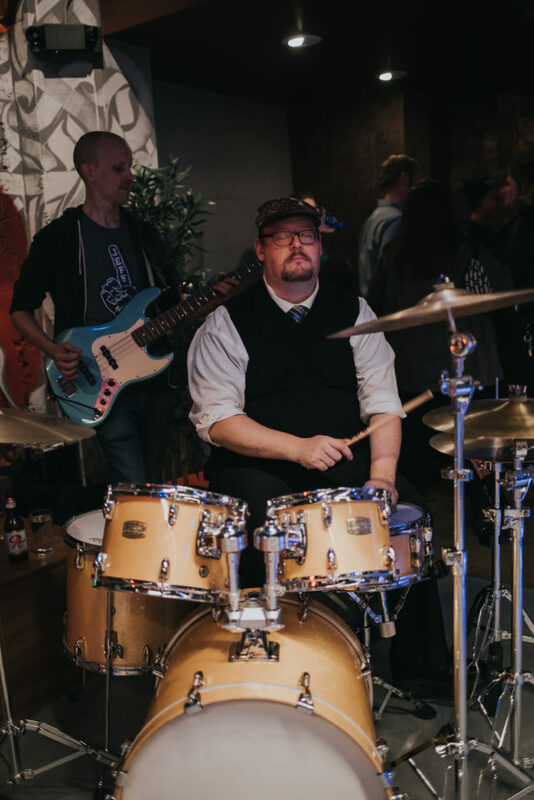 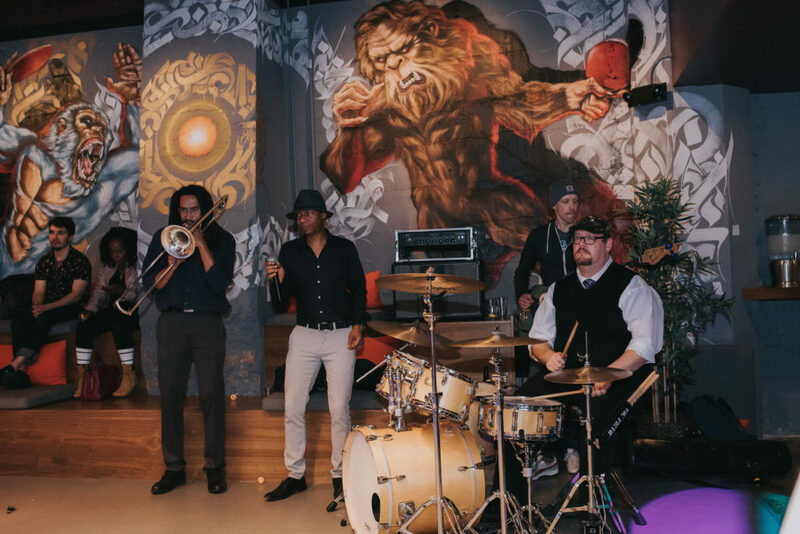 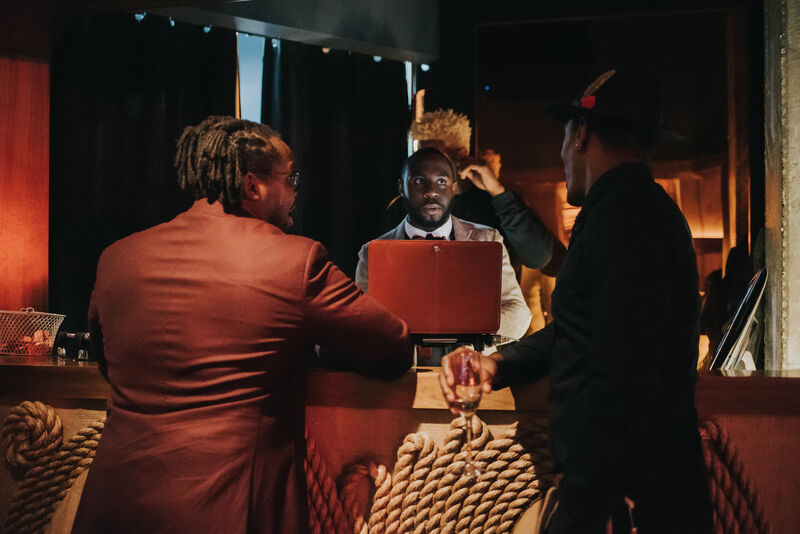 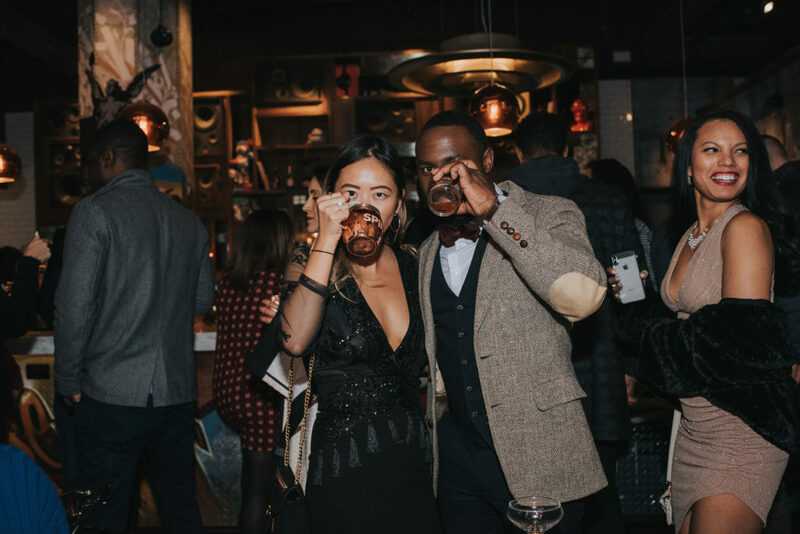 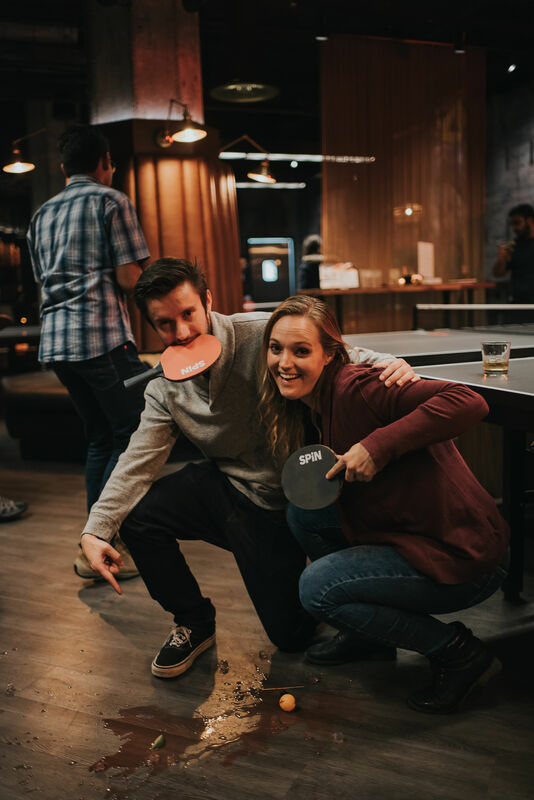 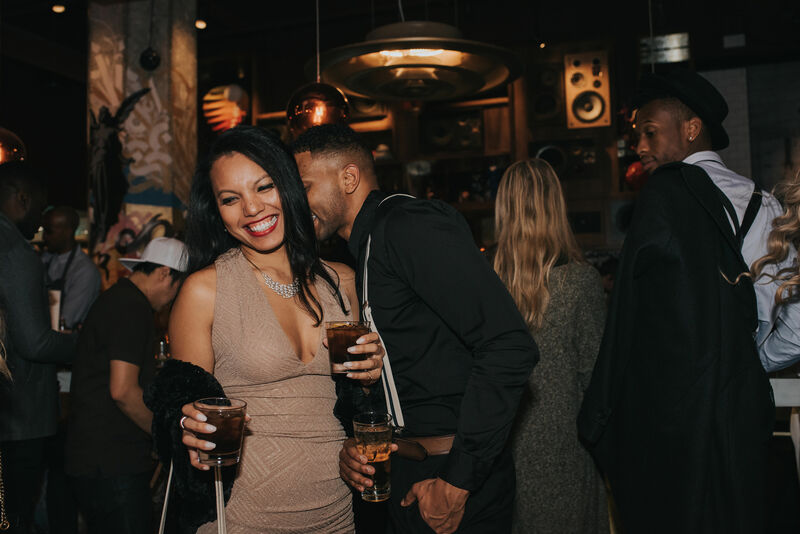 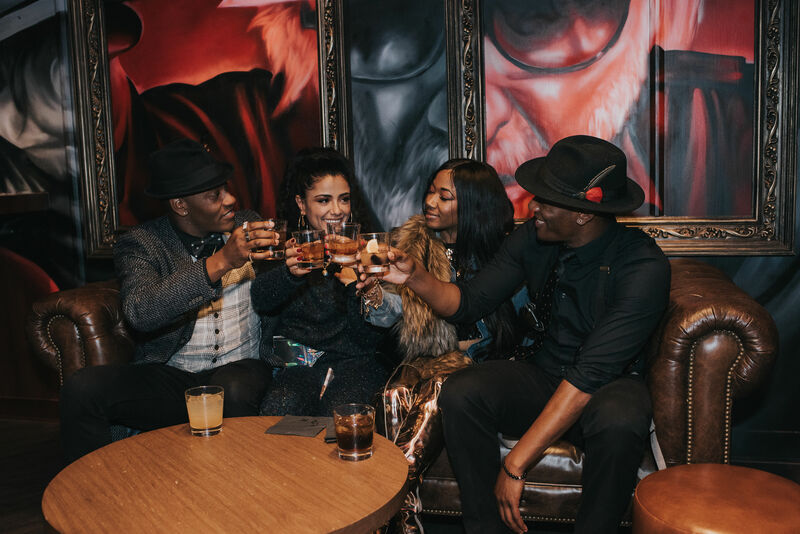 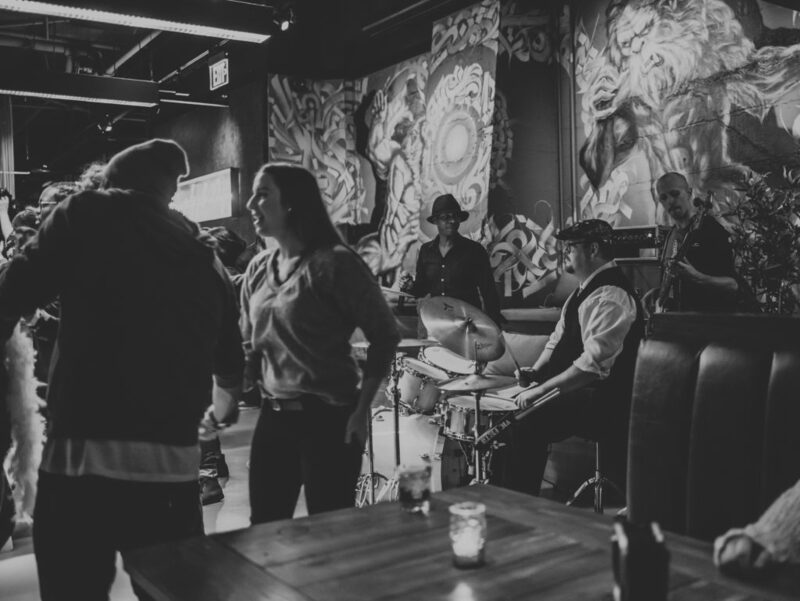 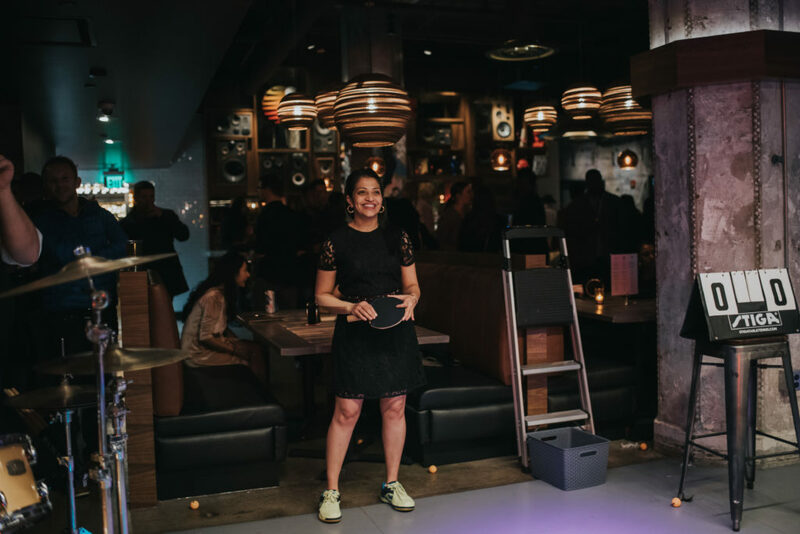 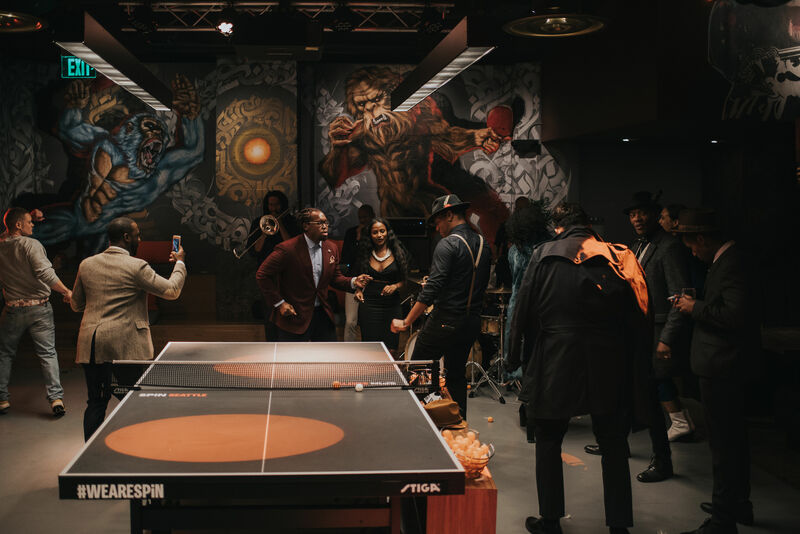 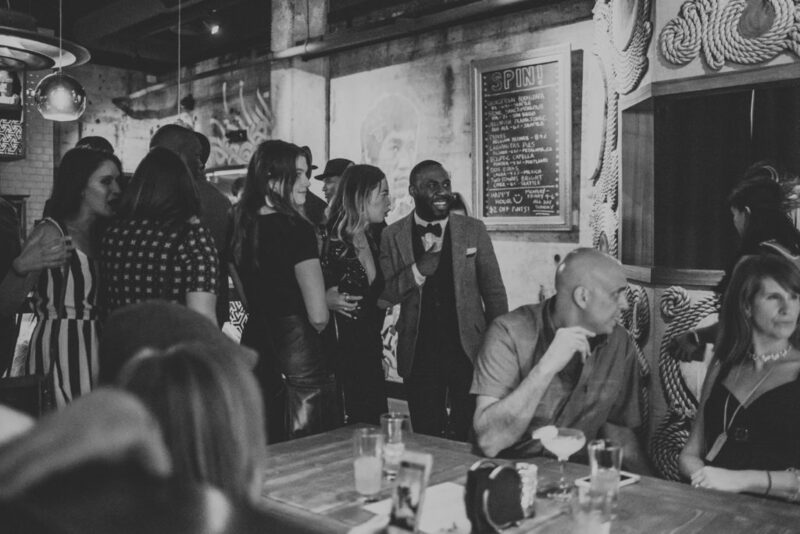 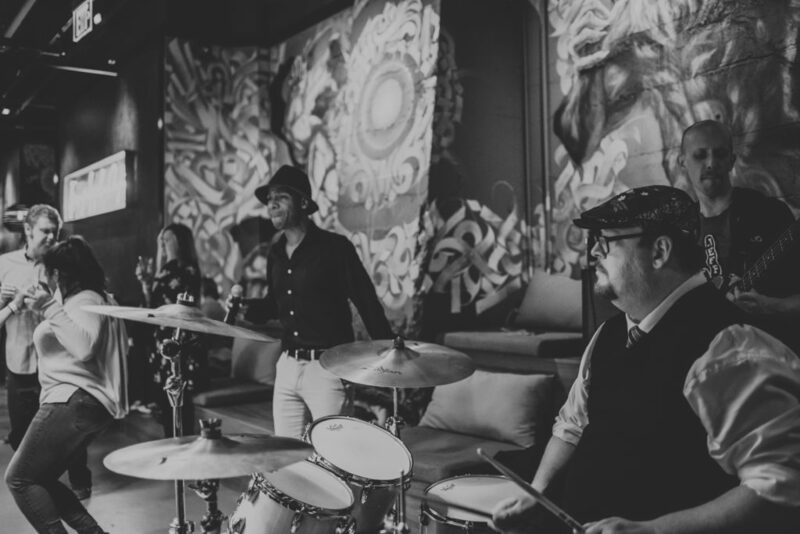 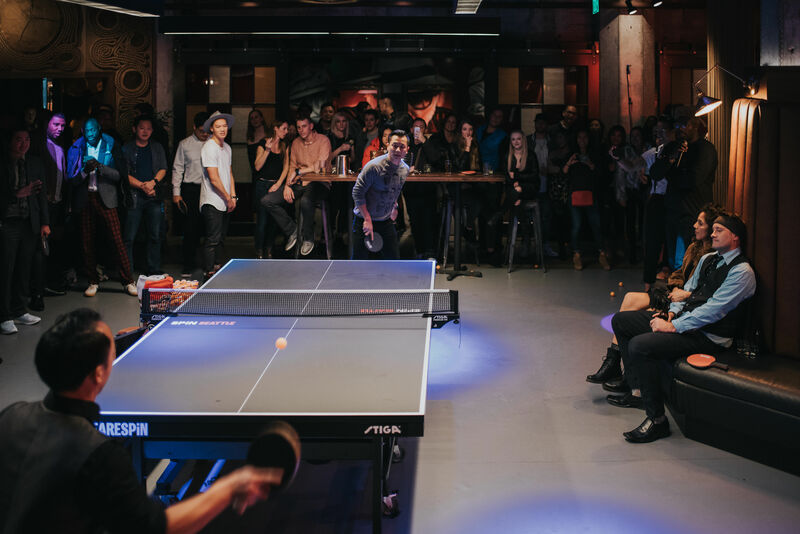 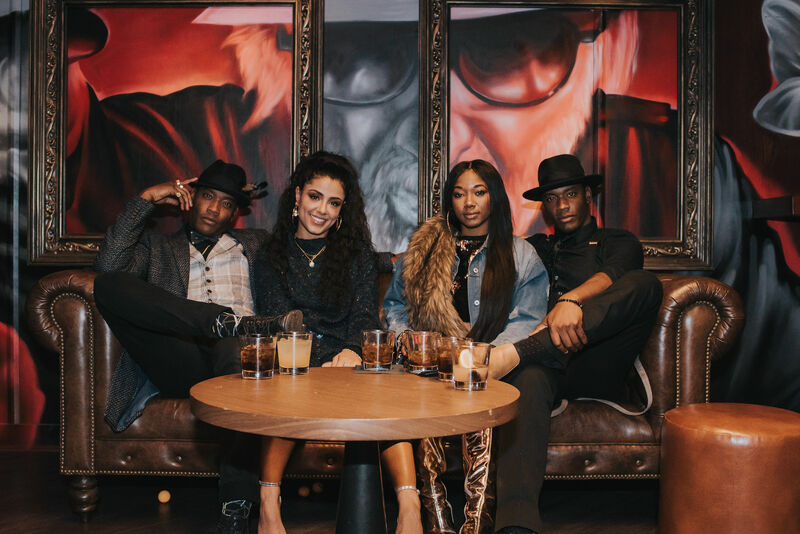 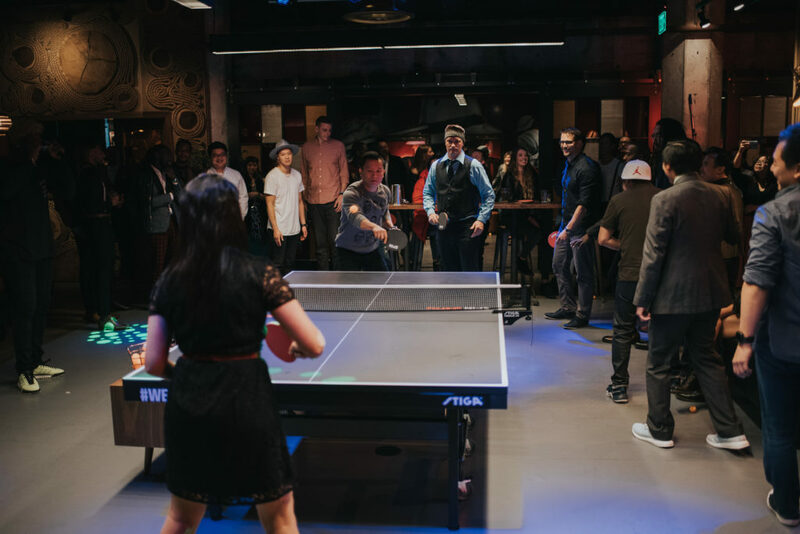 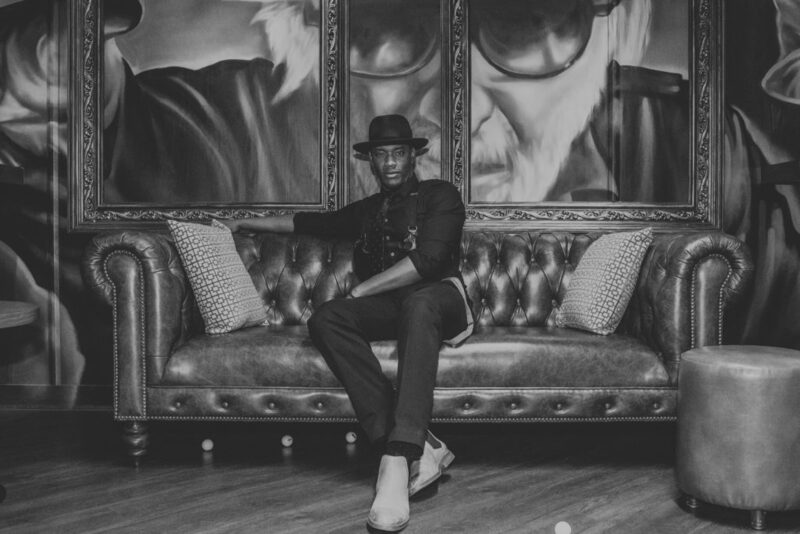 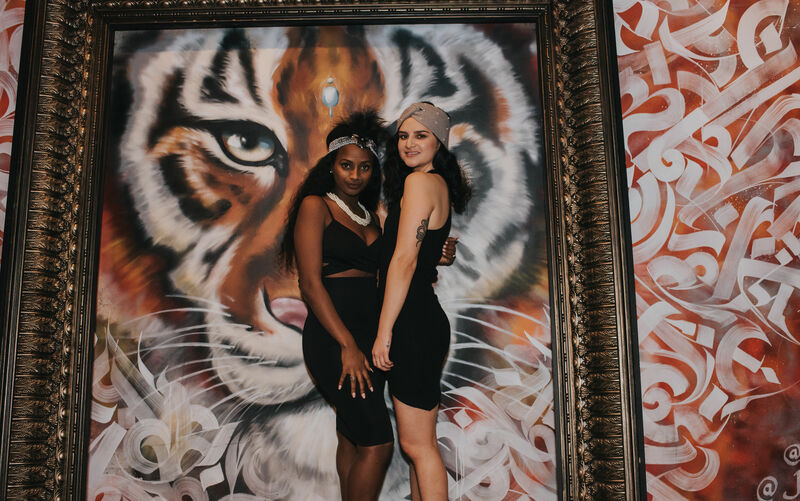 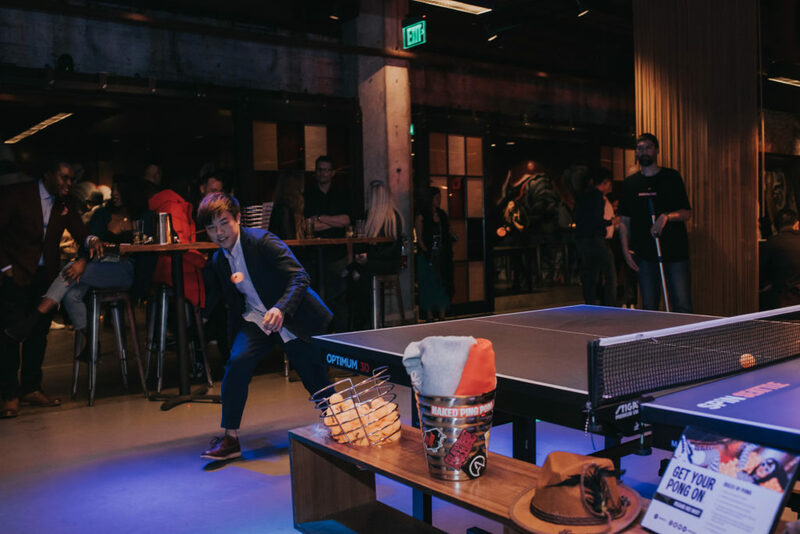 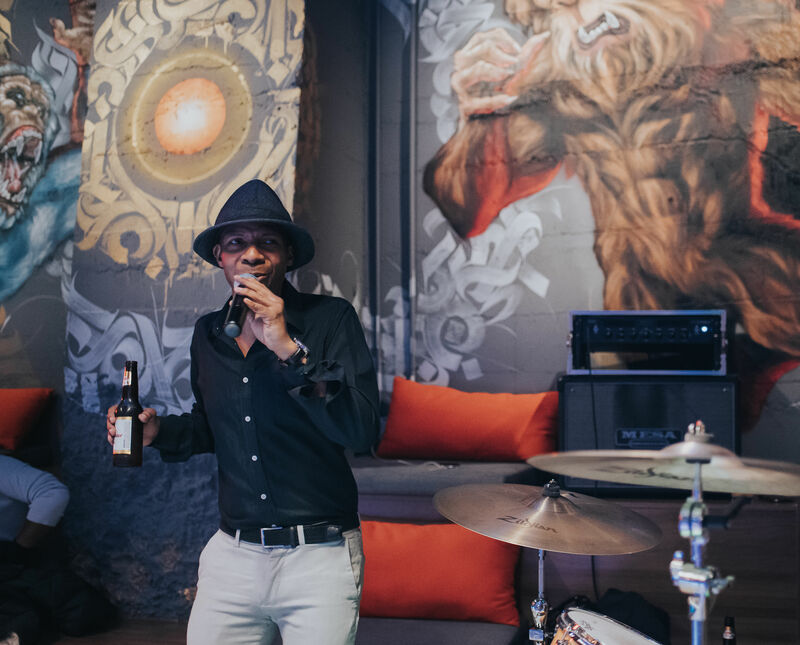 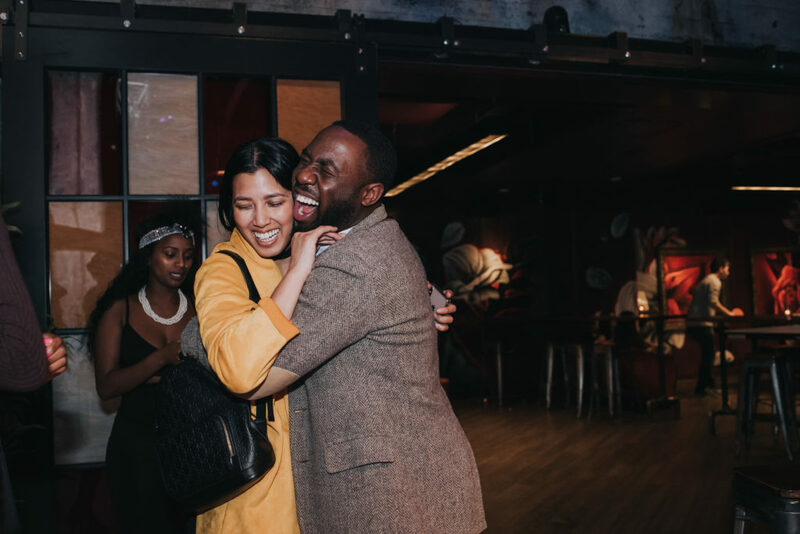 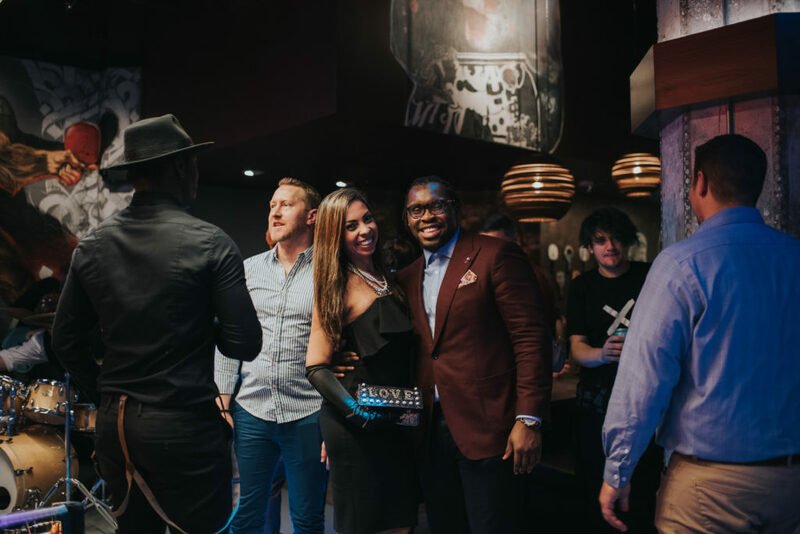 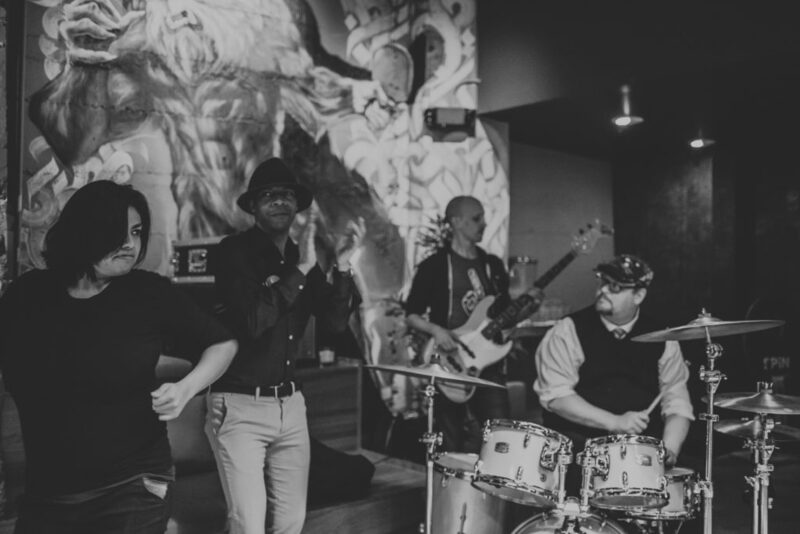 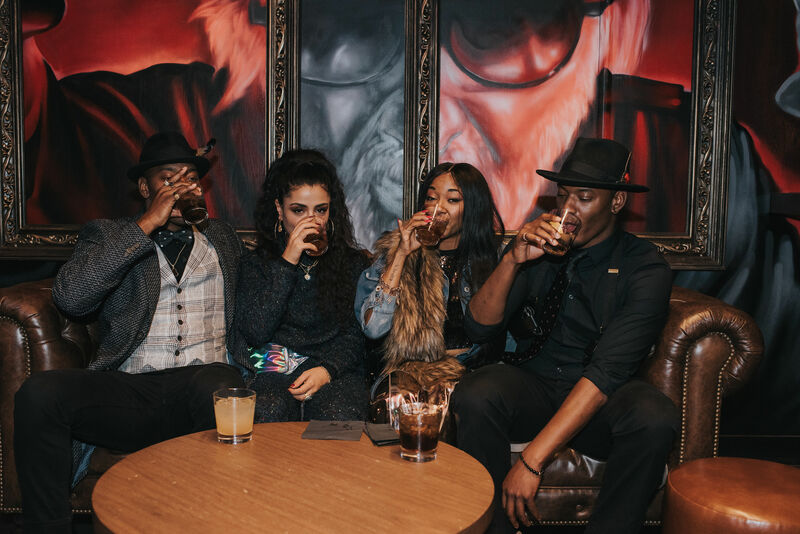 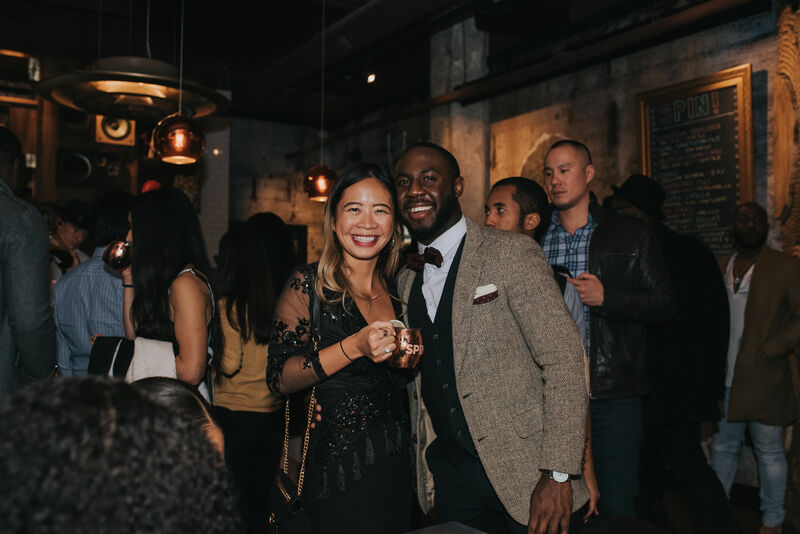 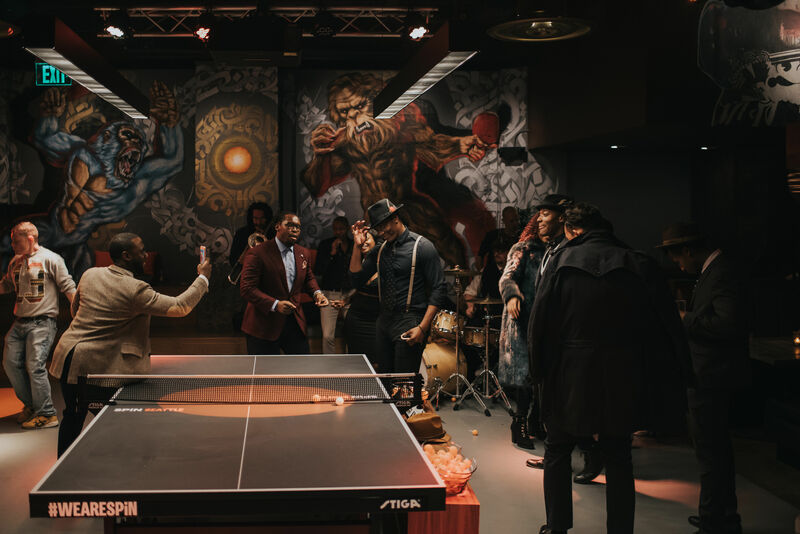 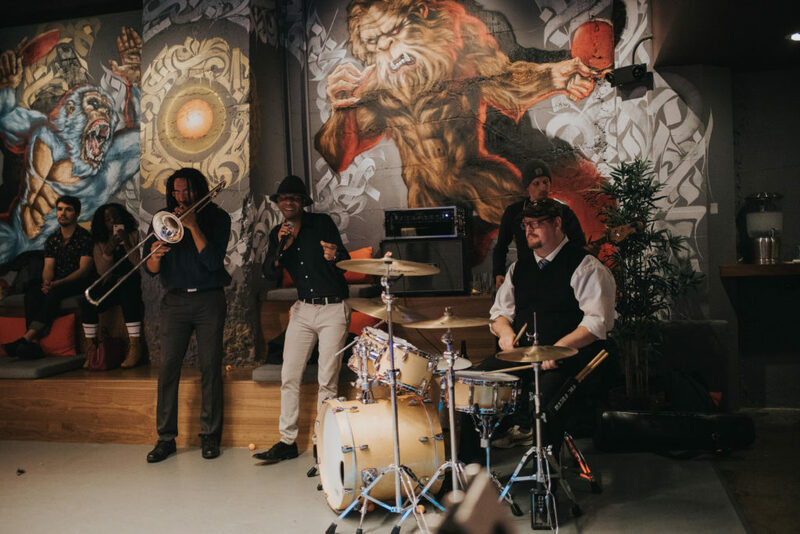 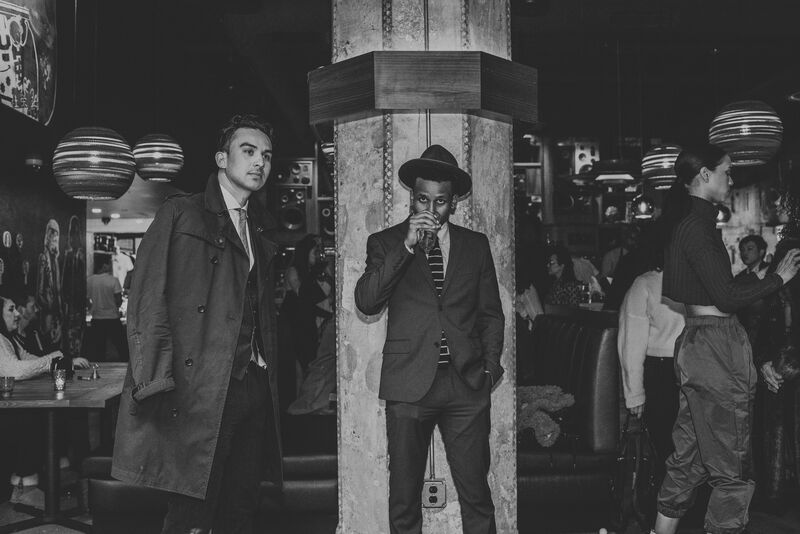 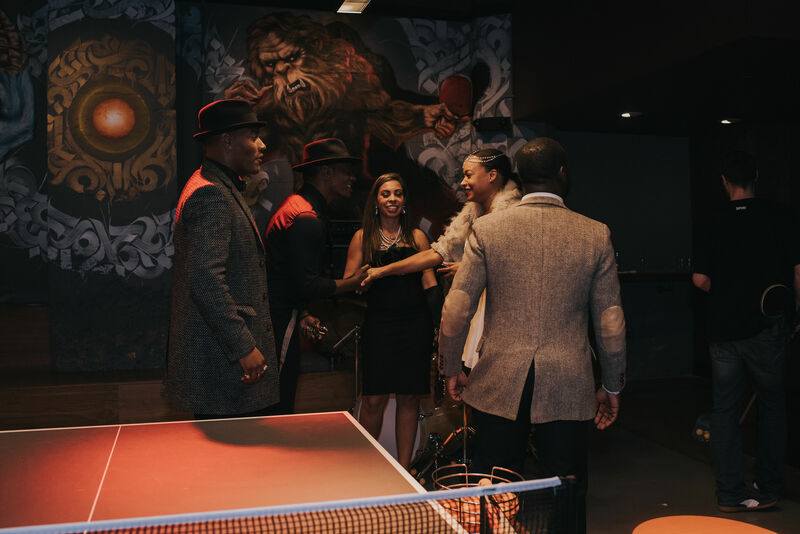 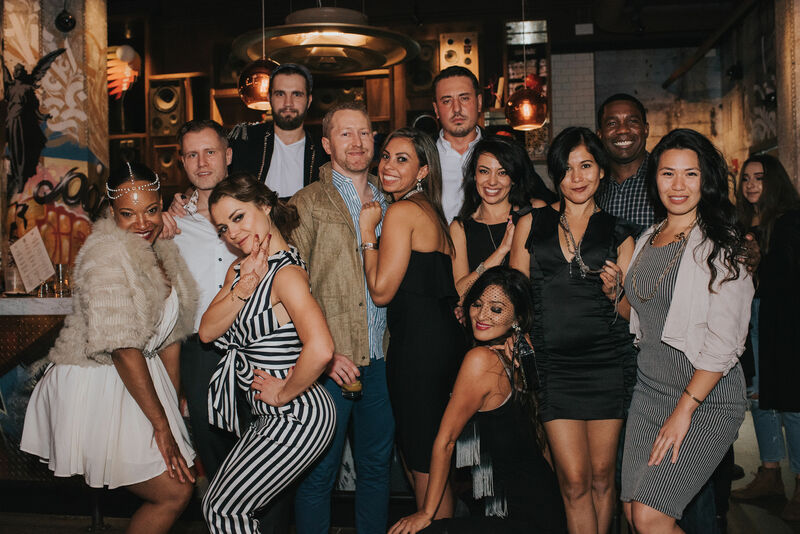 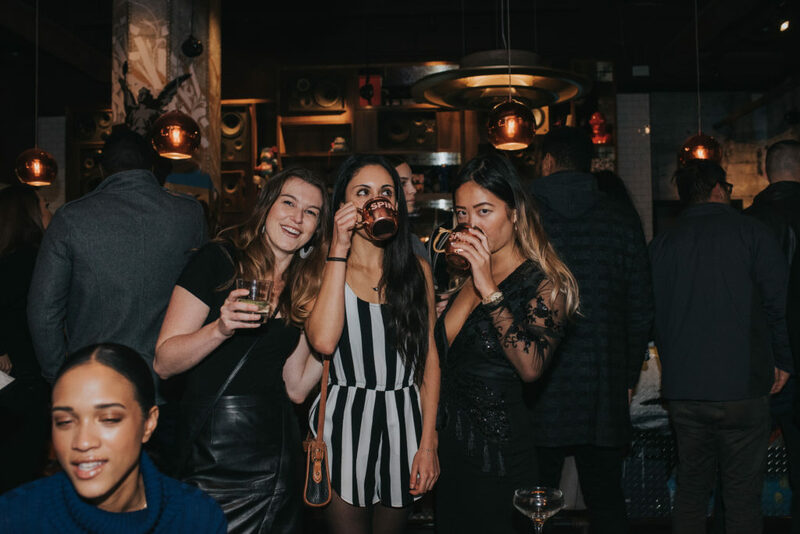 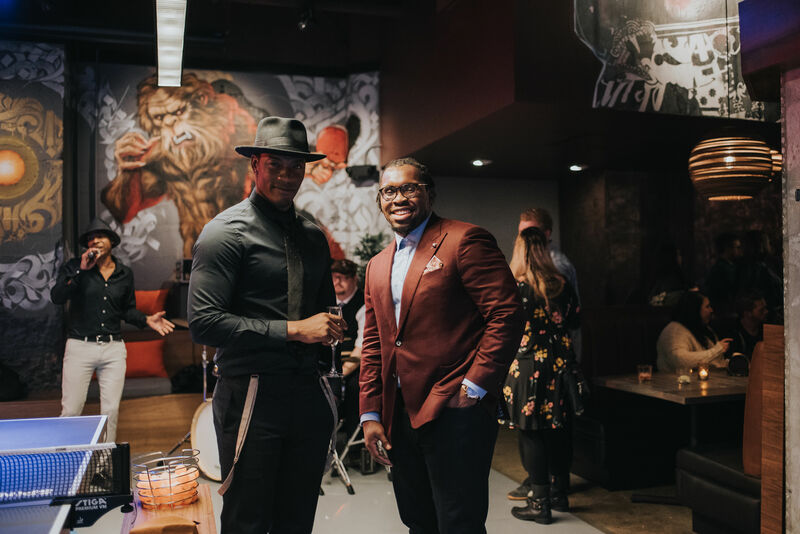 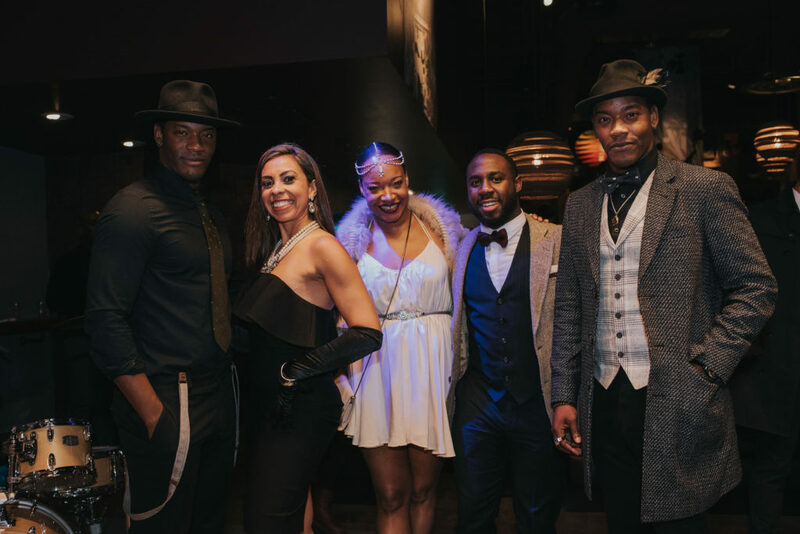 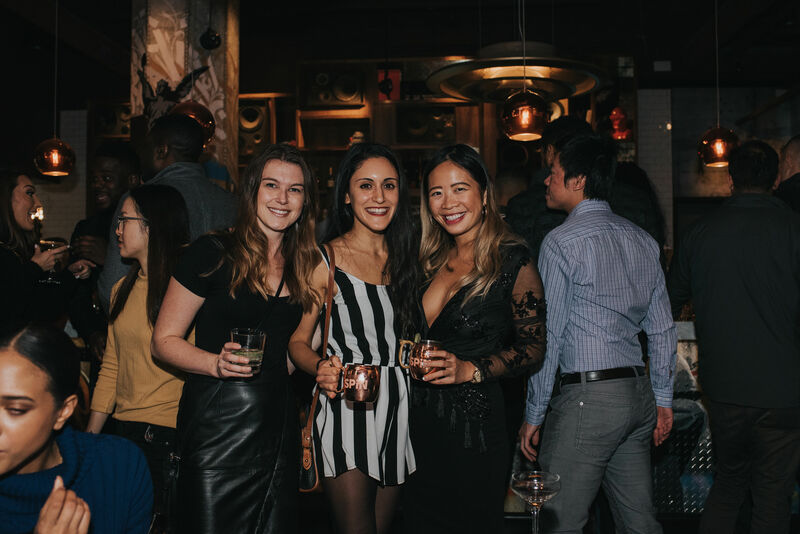 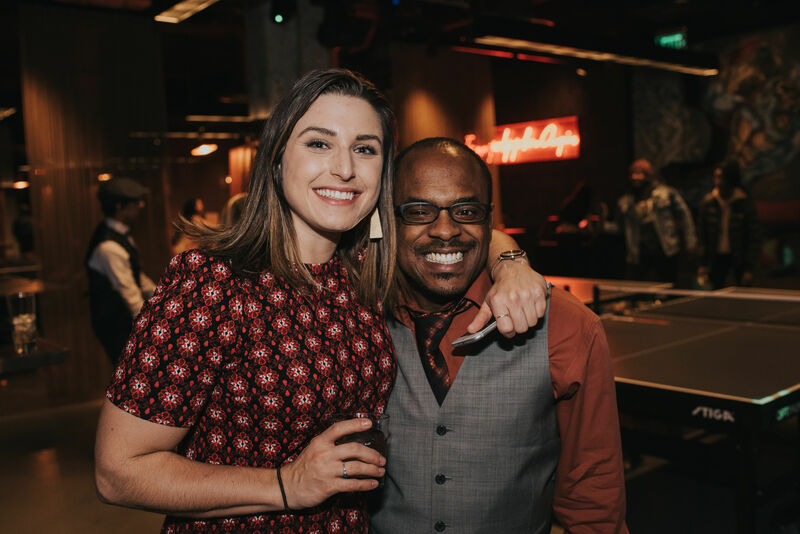 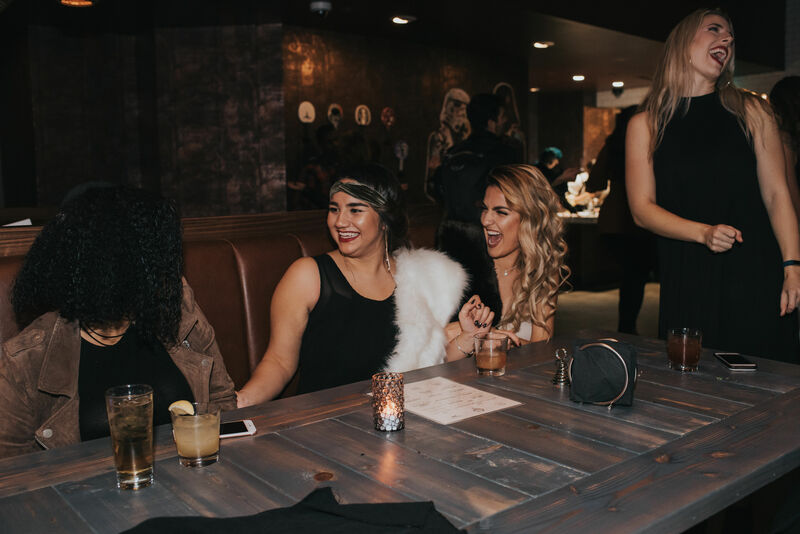 Alongside our spirits partner, Jim Beam Suntory, we put together Prohibition Pong, a themed event in celebration of the 1920’s Prohibition era. 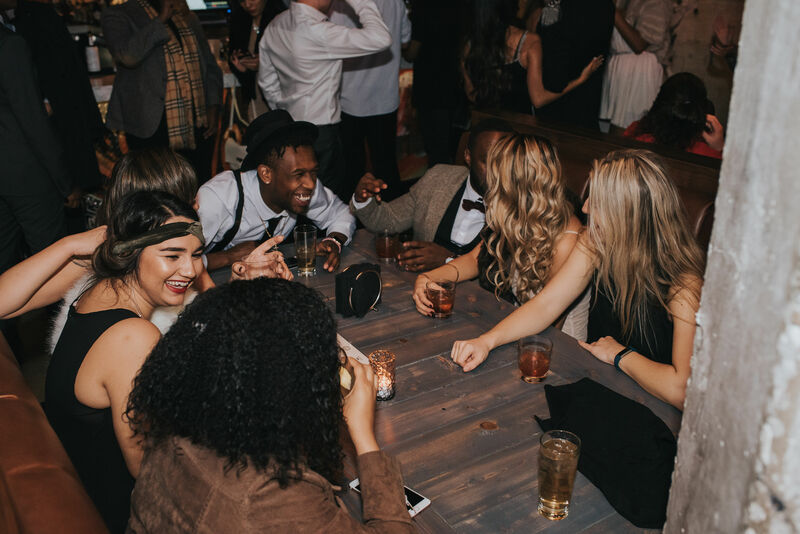 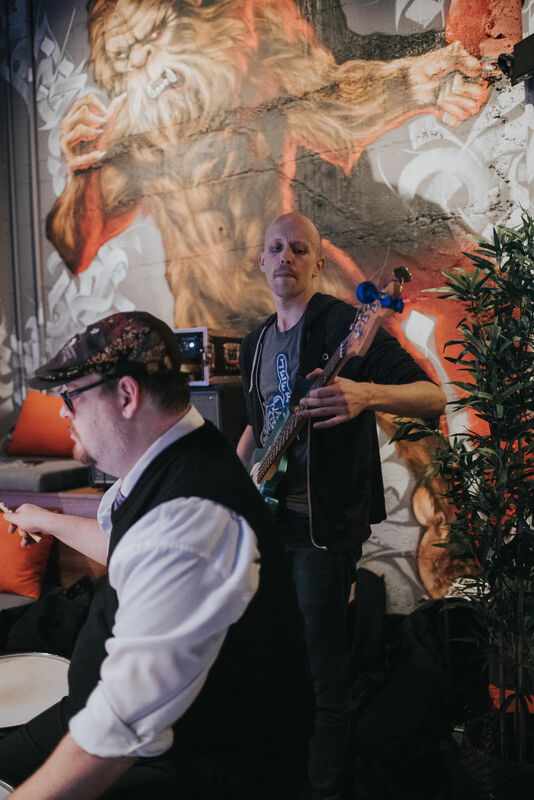 Upon arrival, our guests used the code name “the game has no name” to indulge in prohibition-style cocktail specials. In the midst of that, SPiN had a one of a kind ping pong show, a live band to maintain the jazzy-themed ambience and a DJ to hold it down with our favorite music throughout the evening.